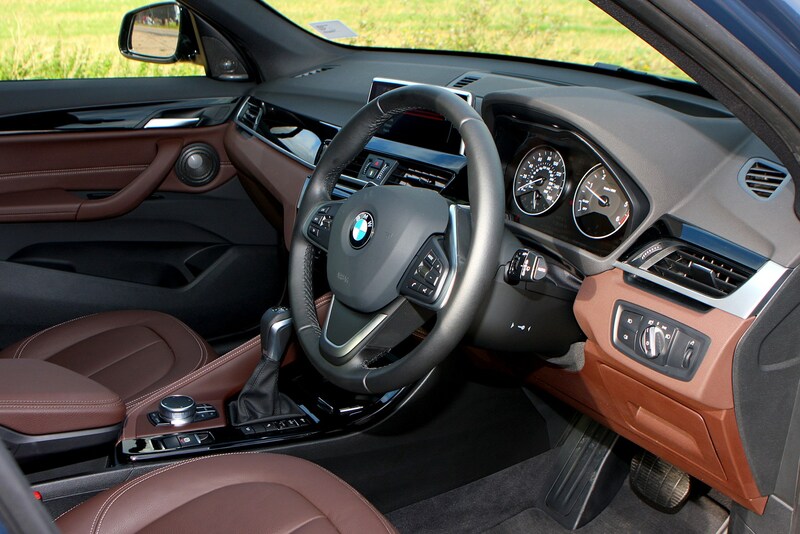 Insurance group: 21 - 34 How much is it to insure? 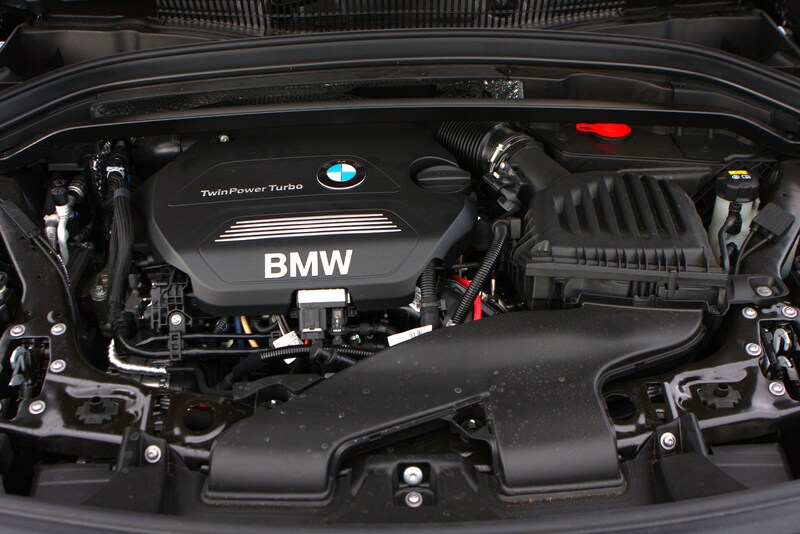 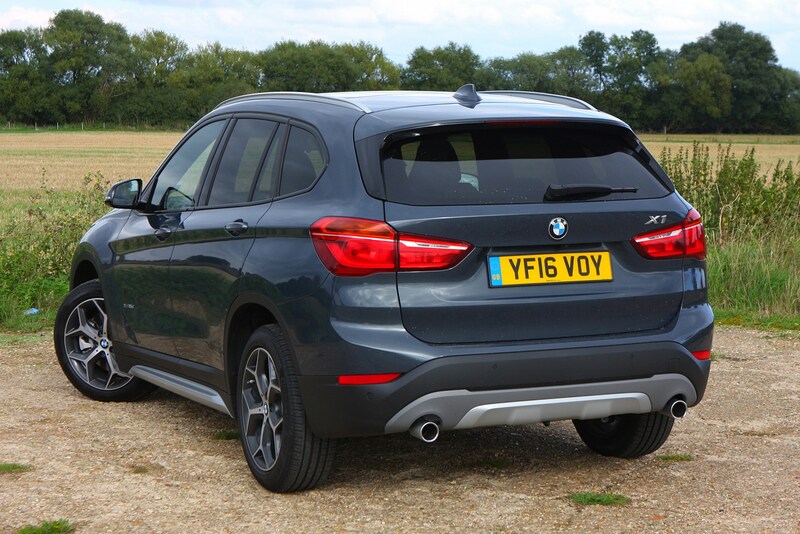 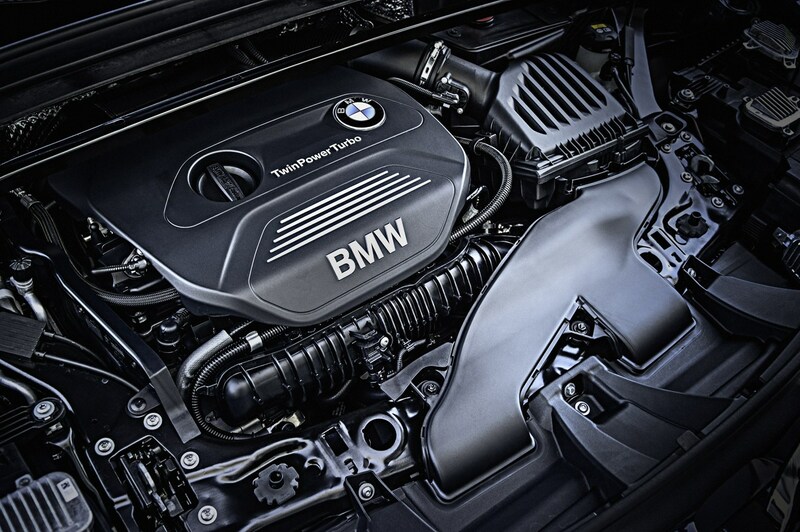 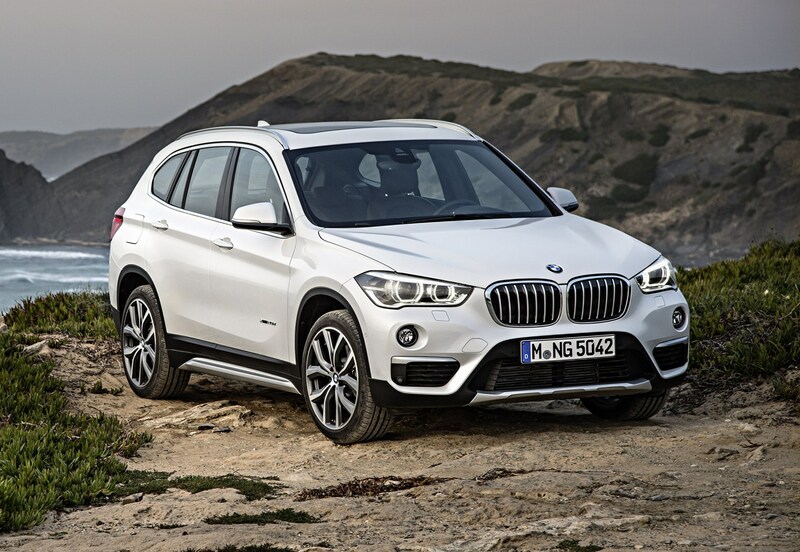 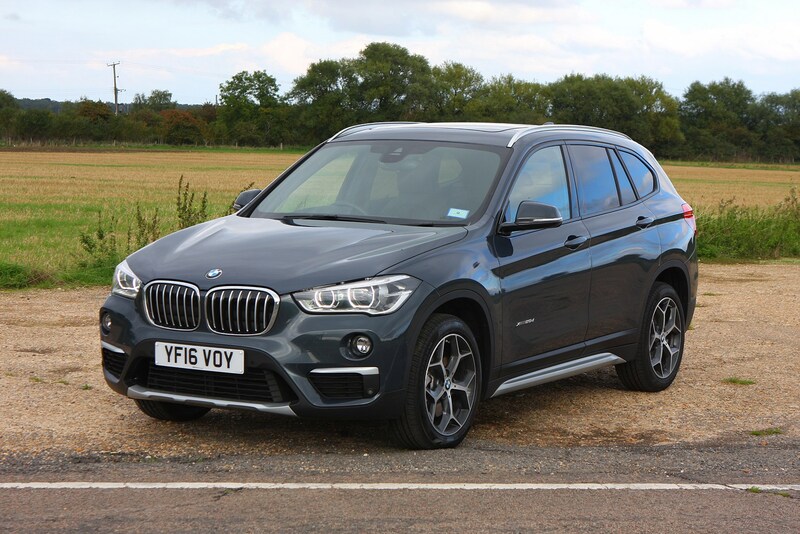 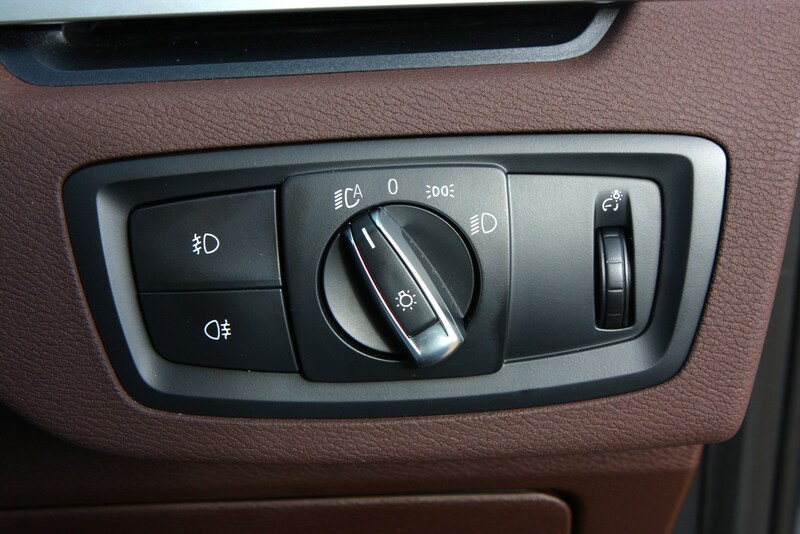 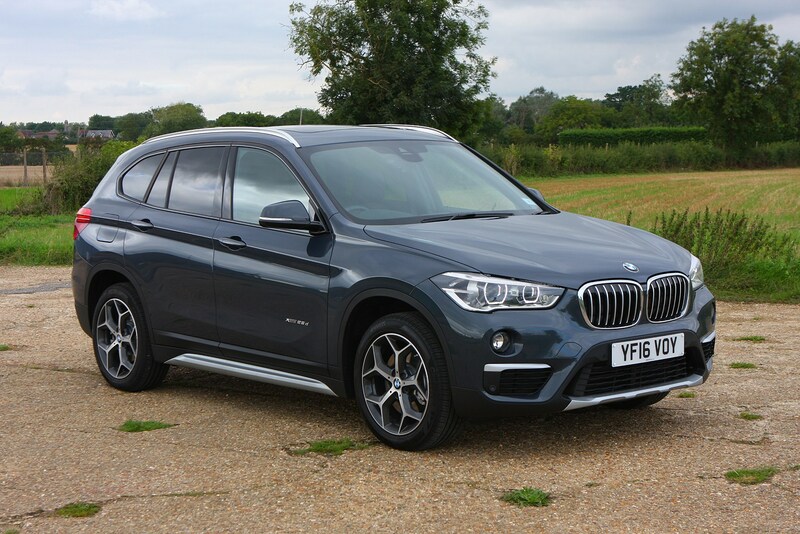 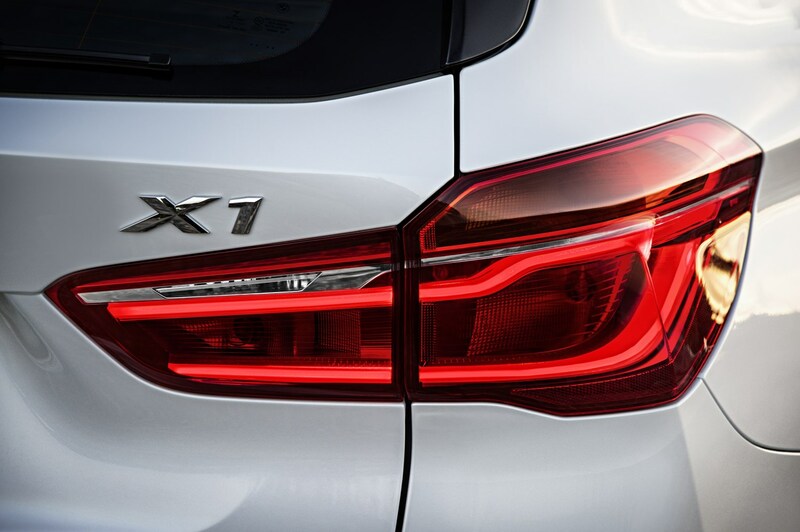 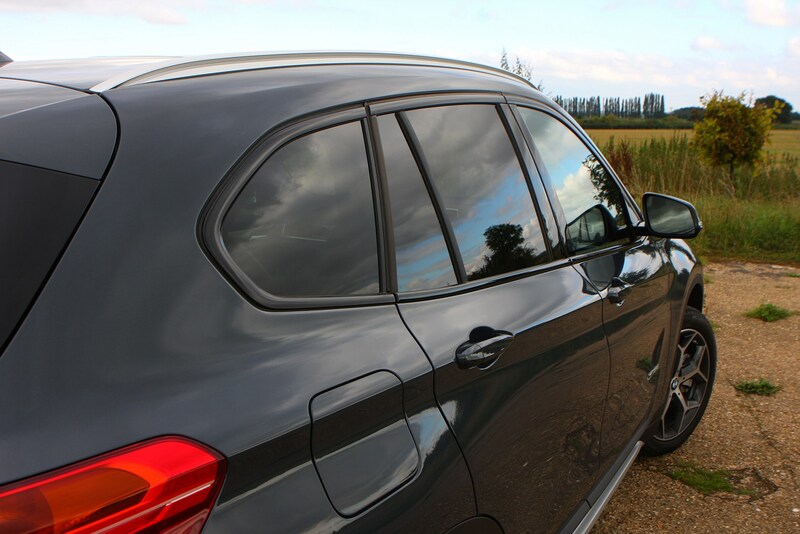 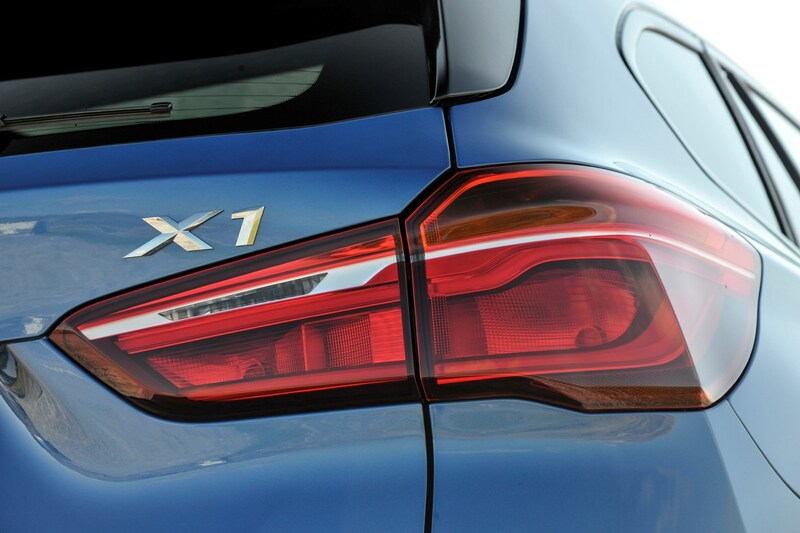 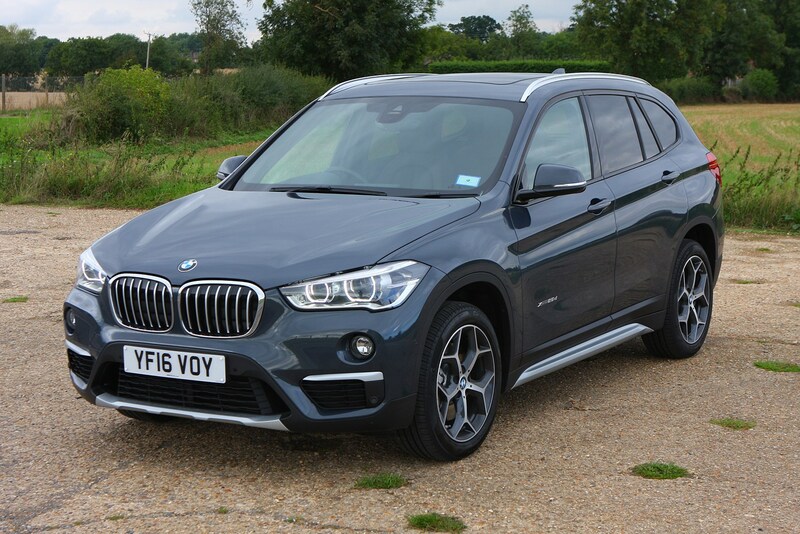 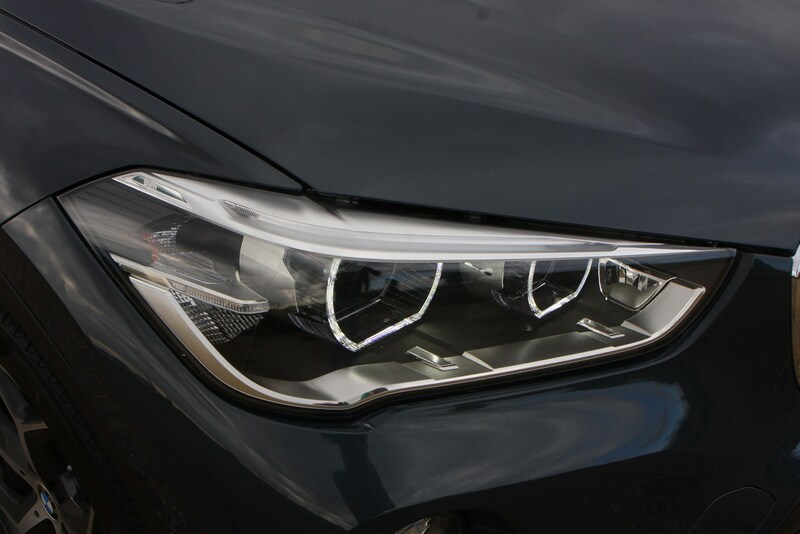 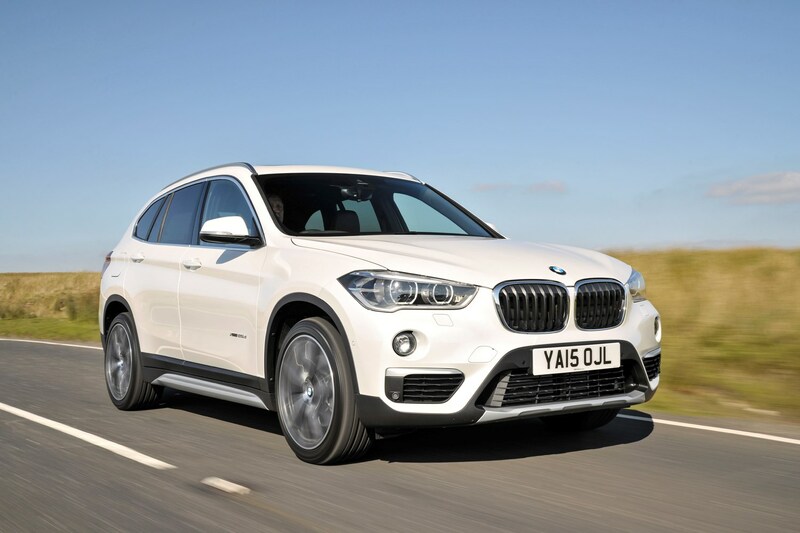 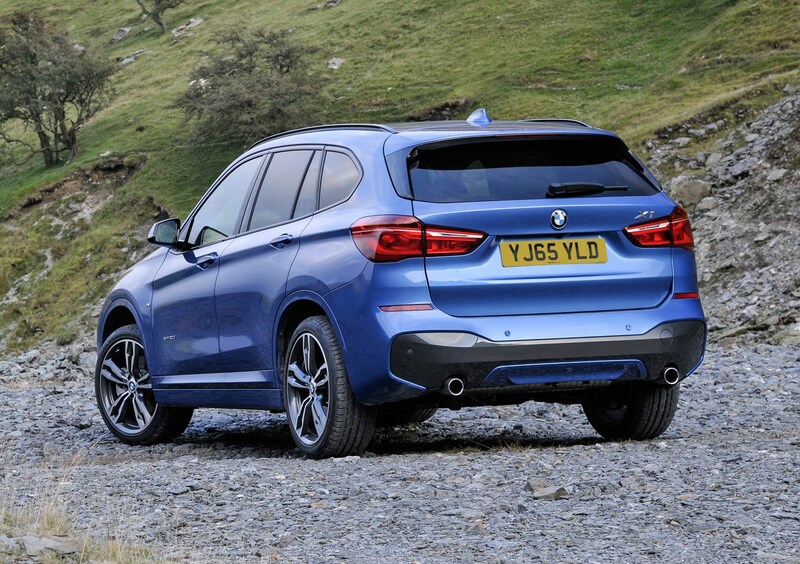 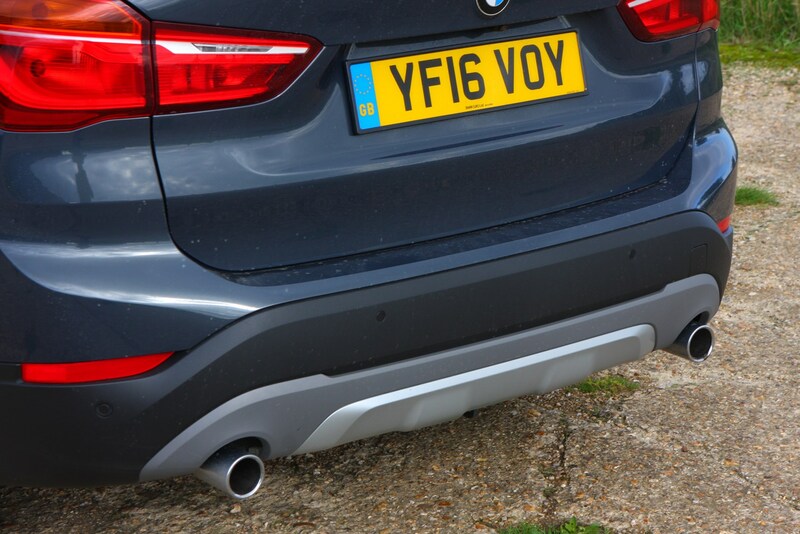 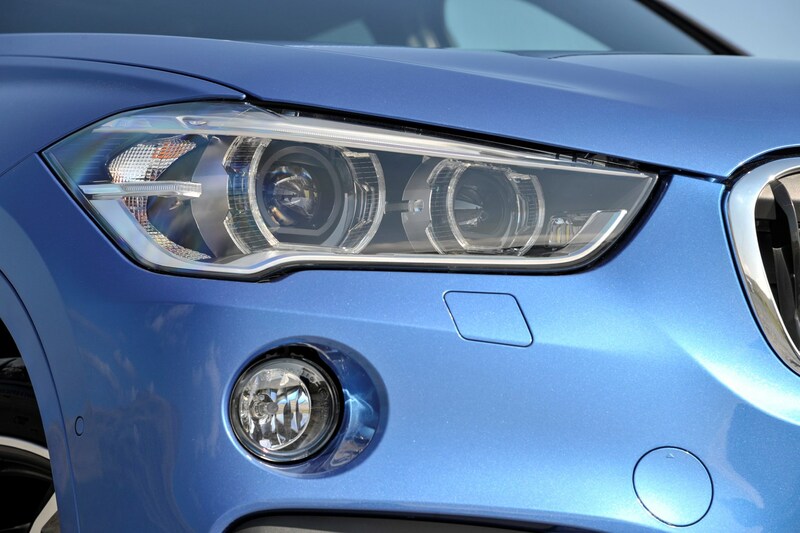 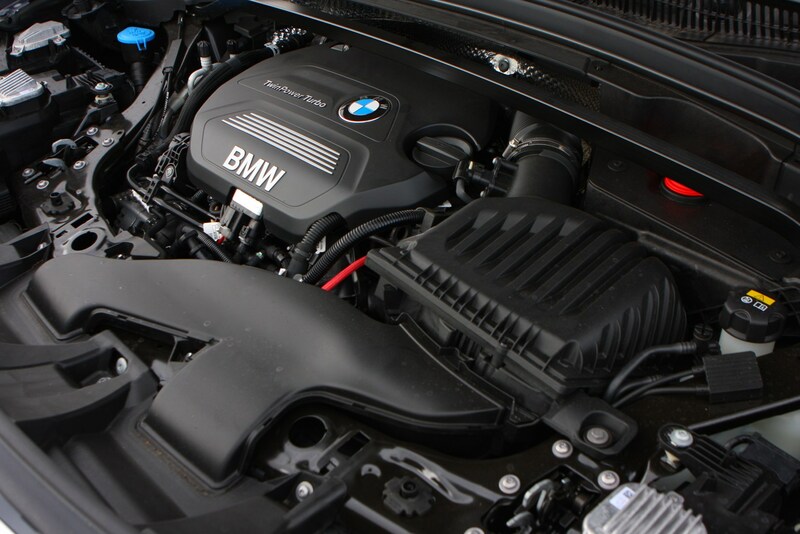 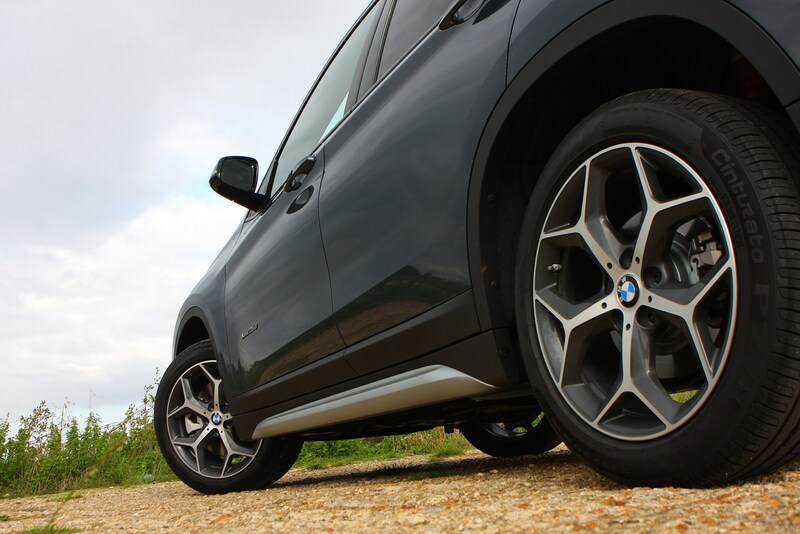 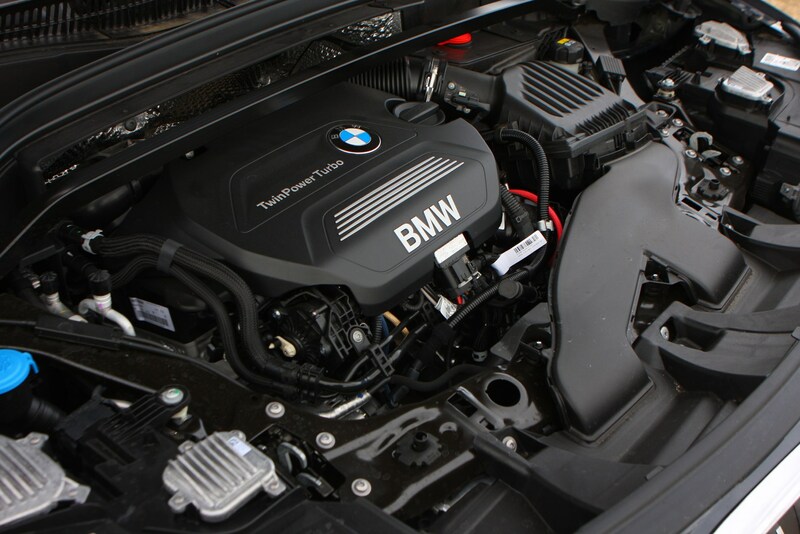 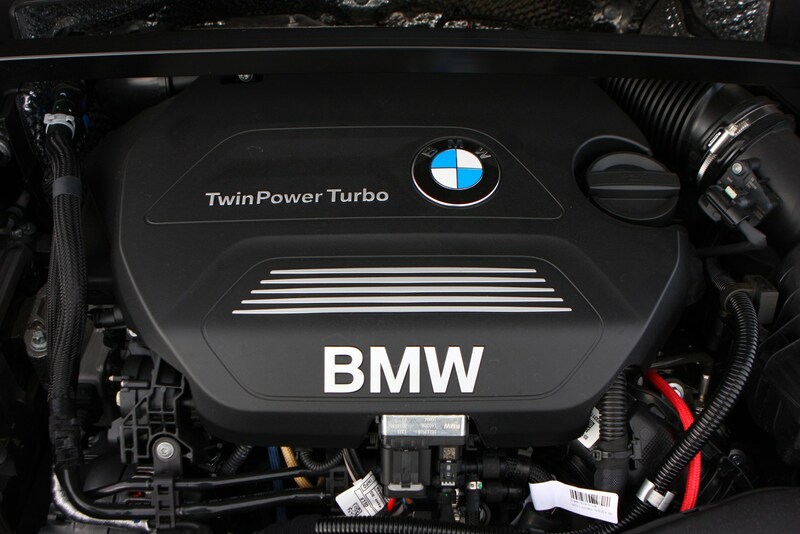 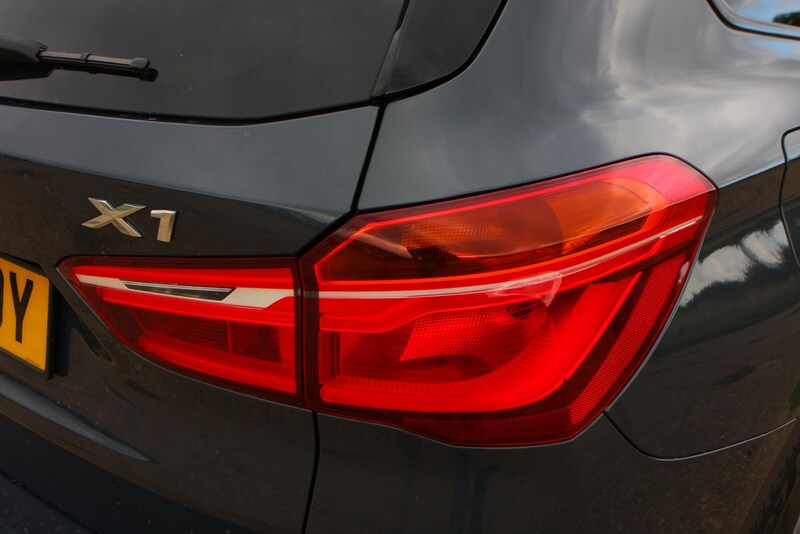 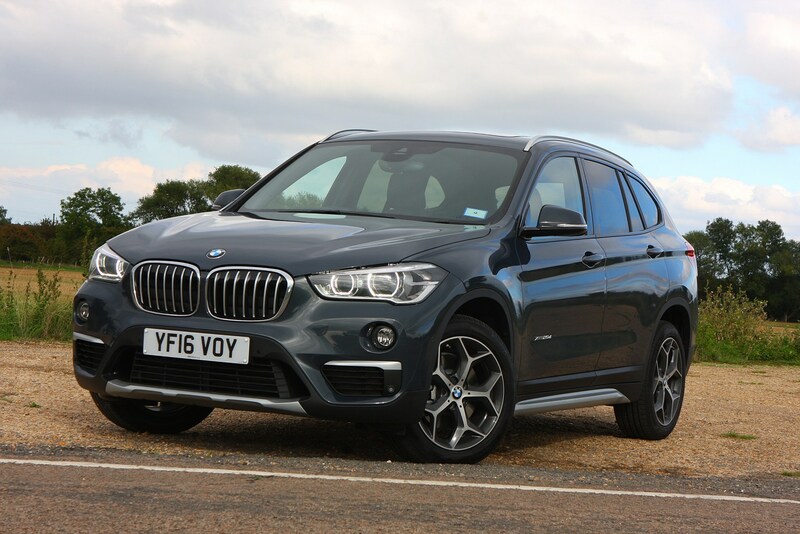 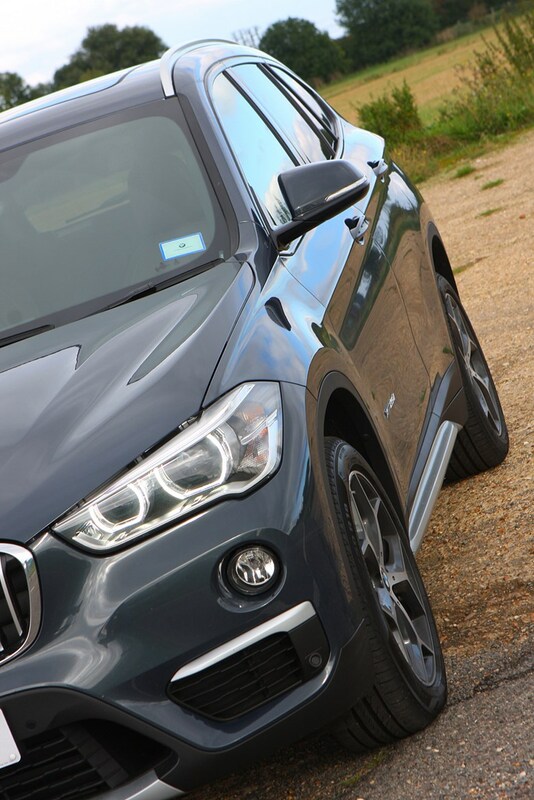 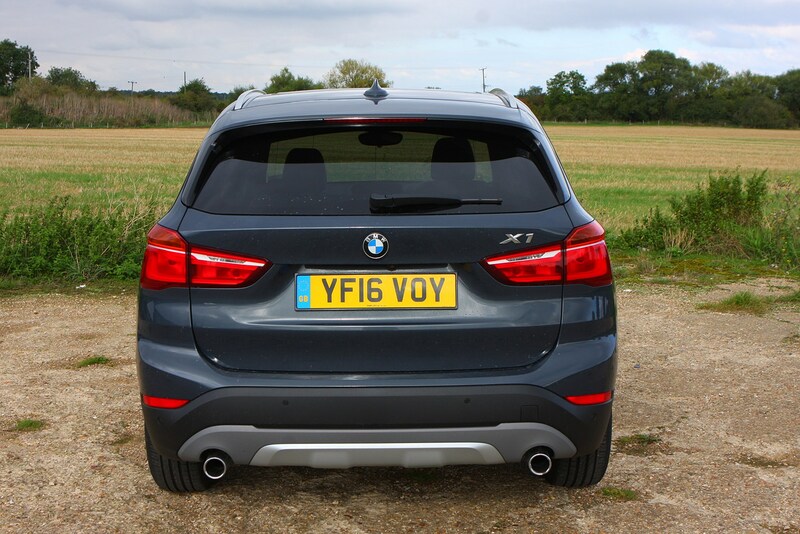 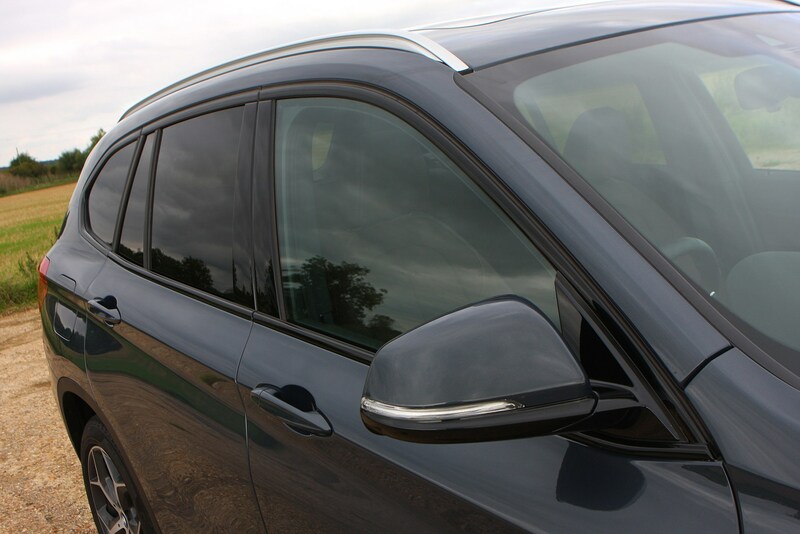 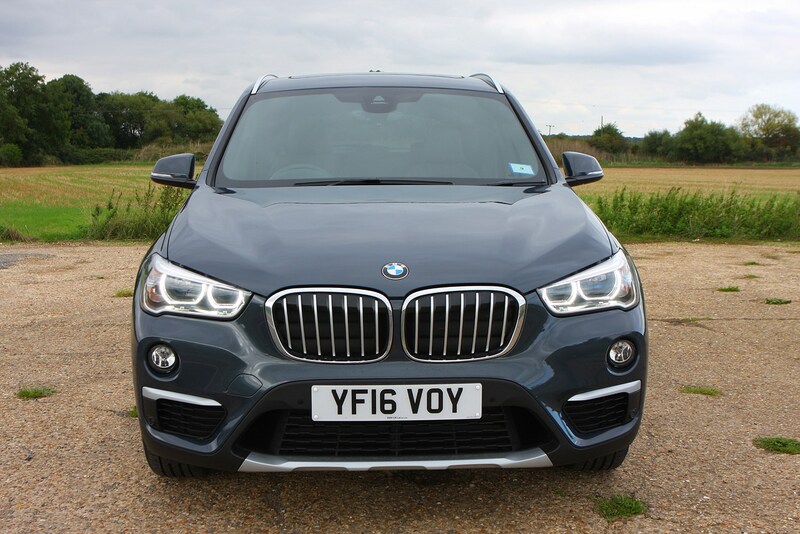 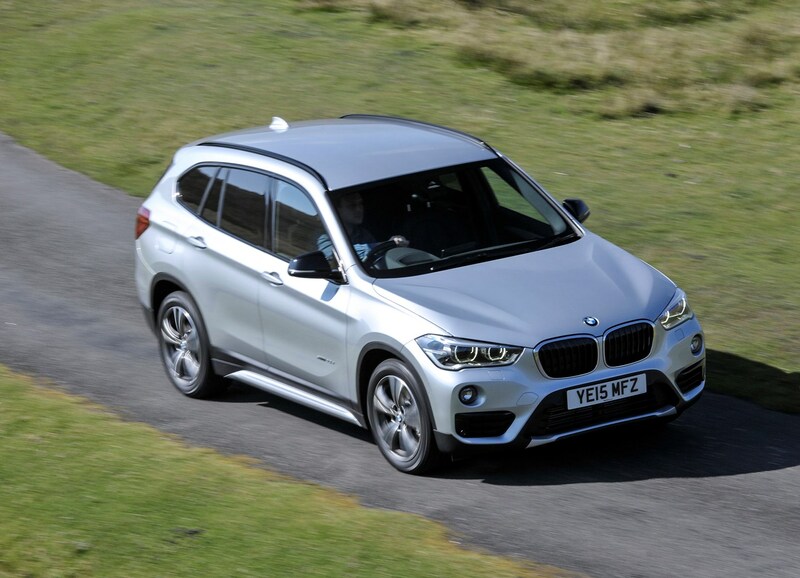 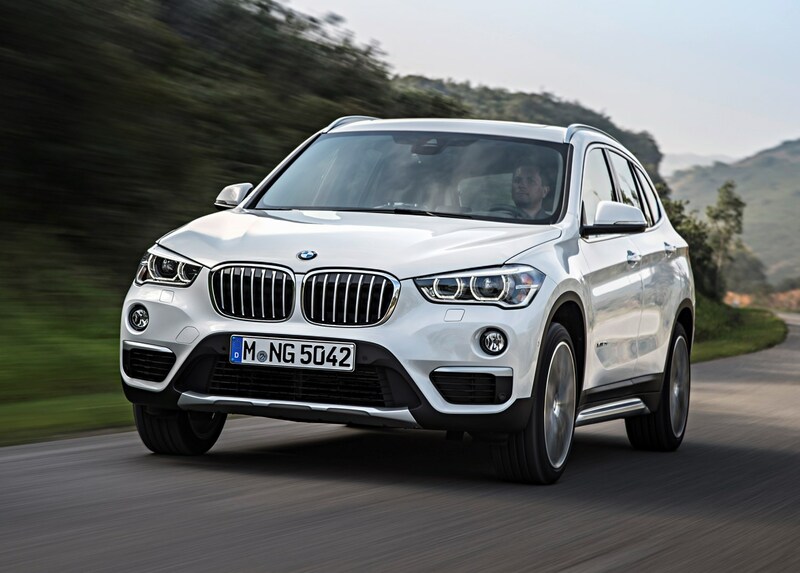 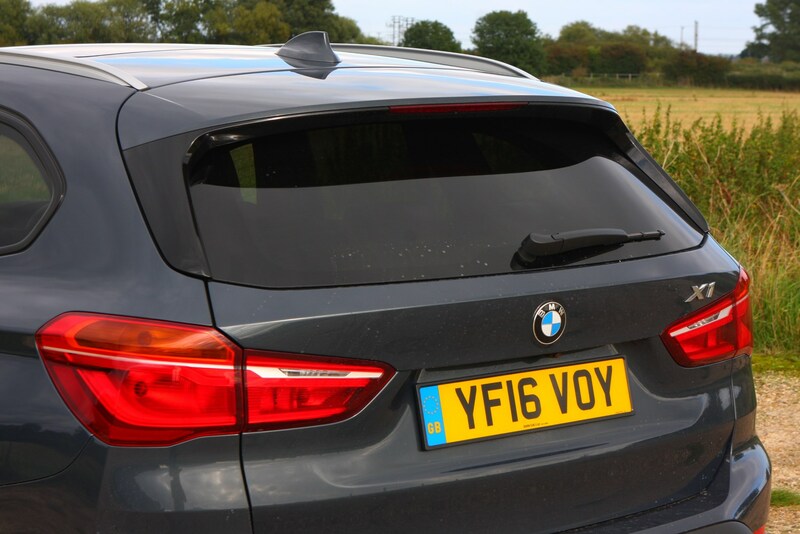 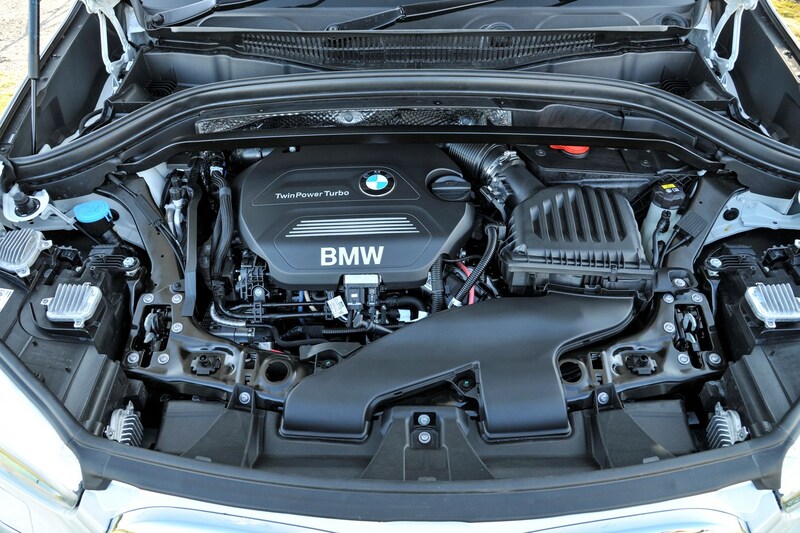 Now in its second generation, the BMW X1 is the German manufacturer’s entry-level SUV. 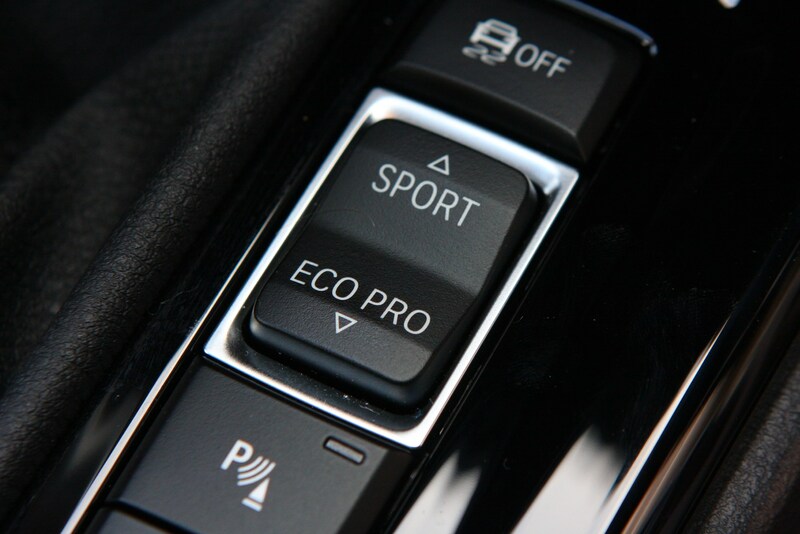 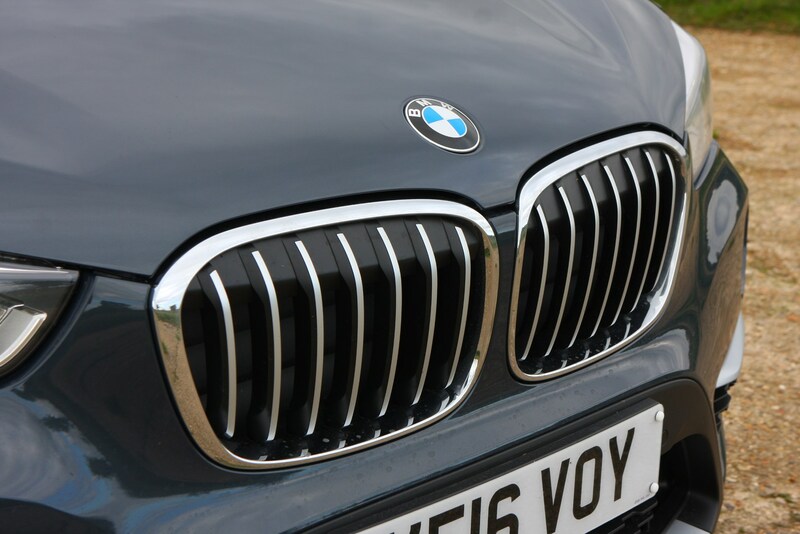 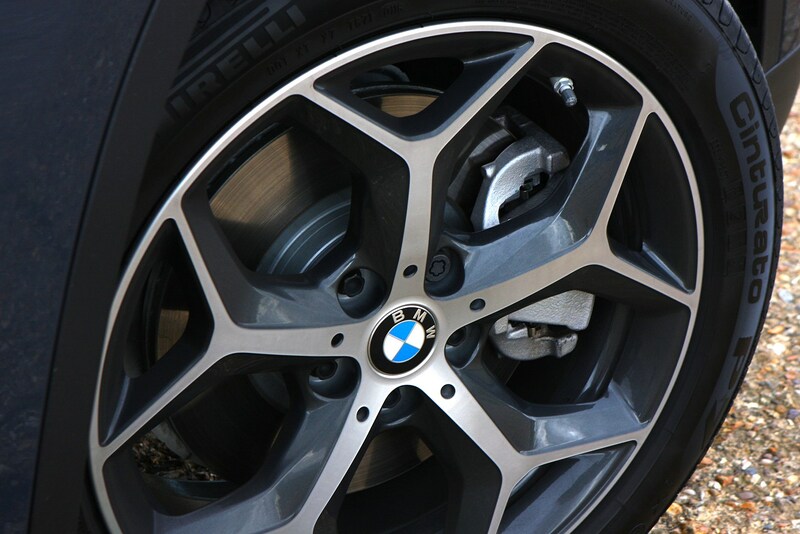 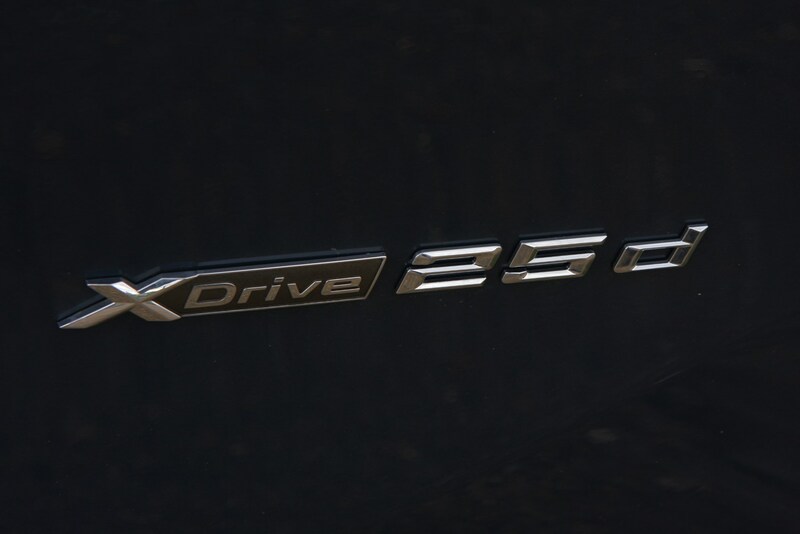 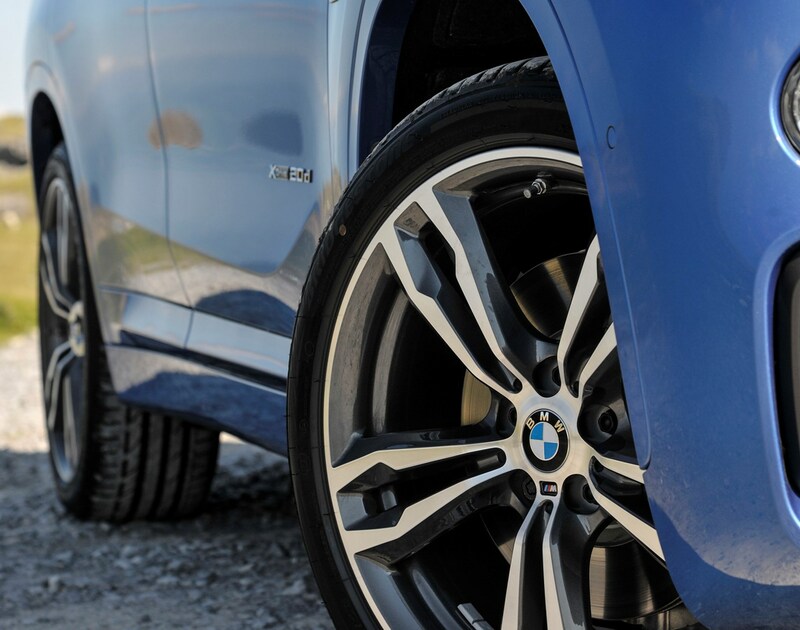 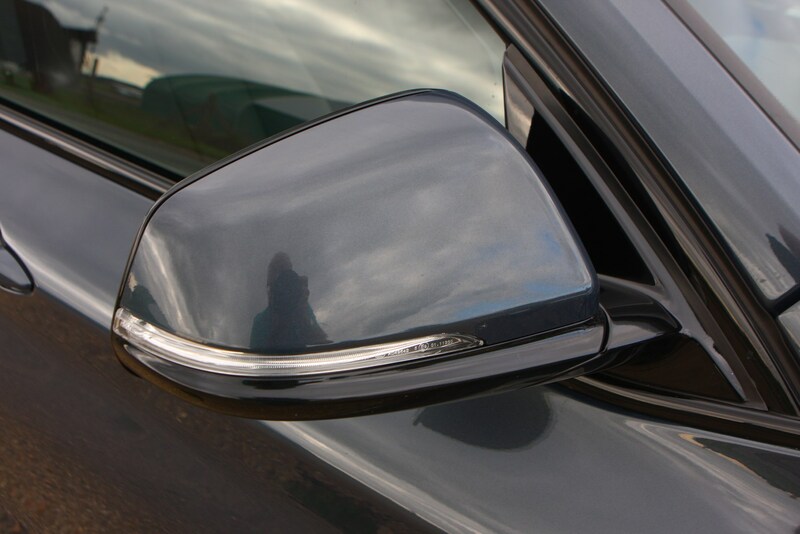 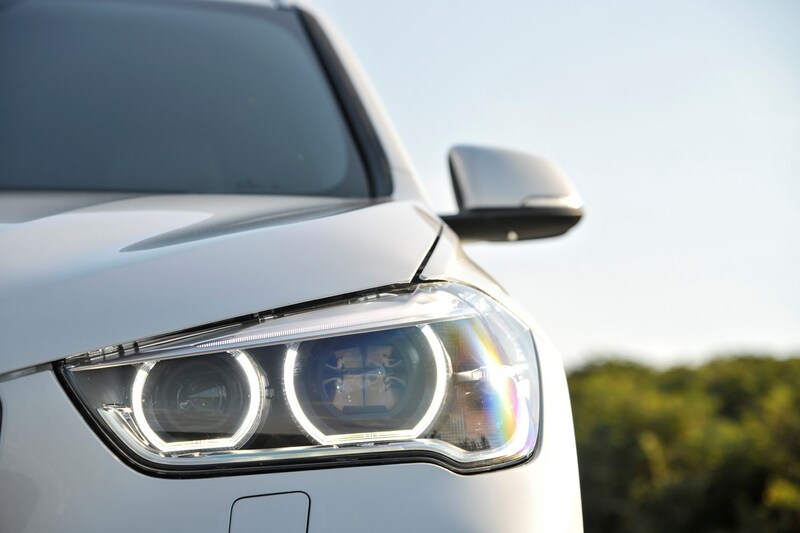 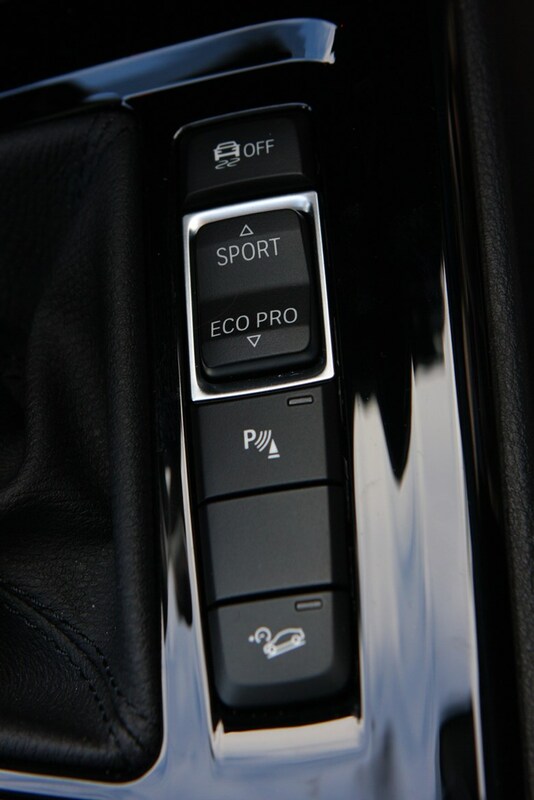 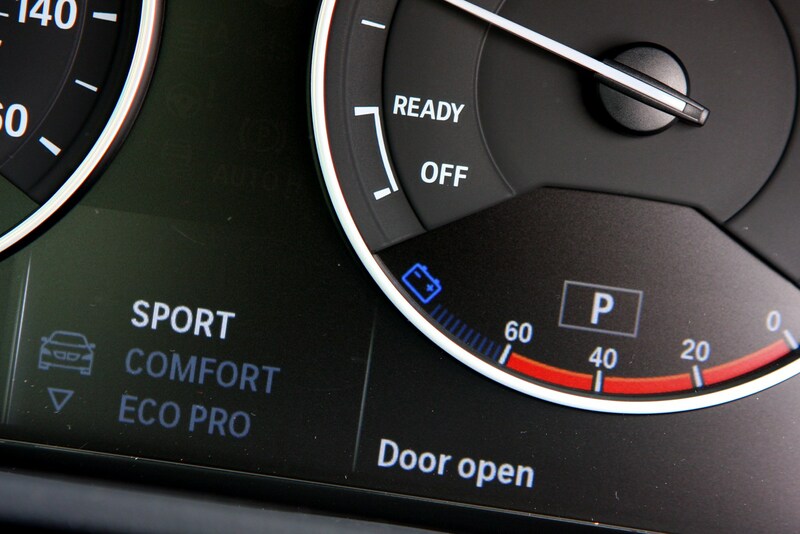 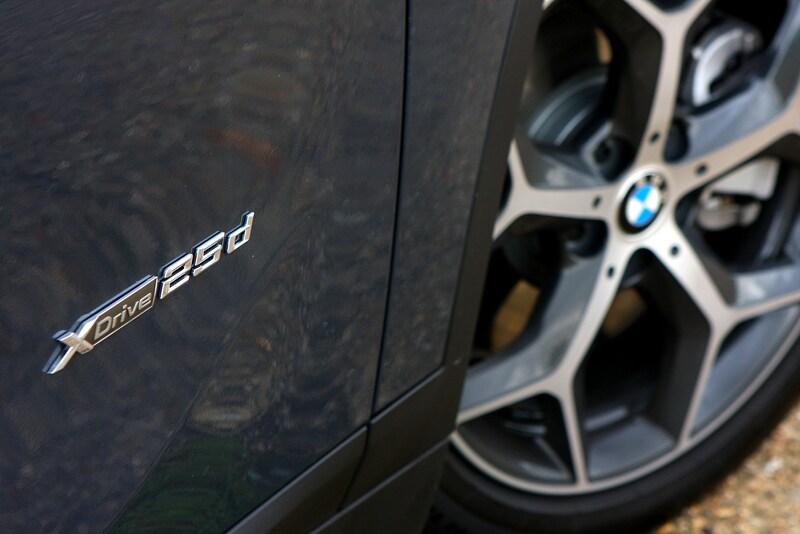 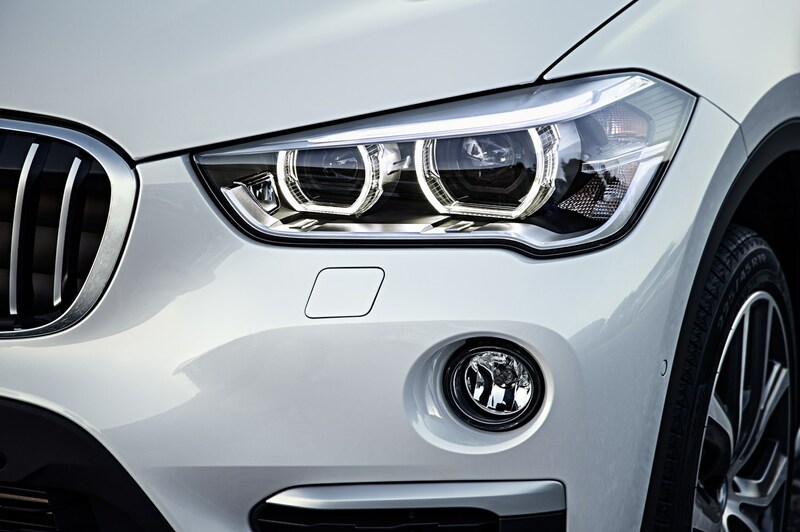 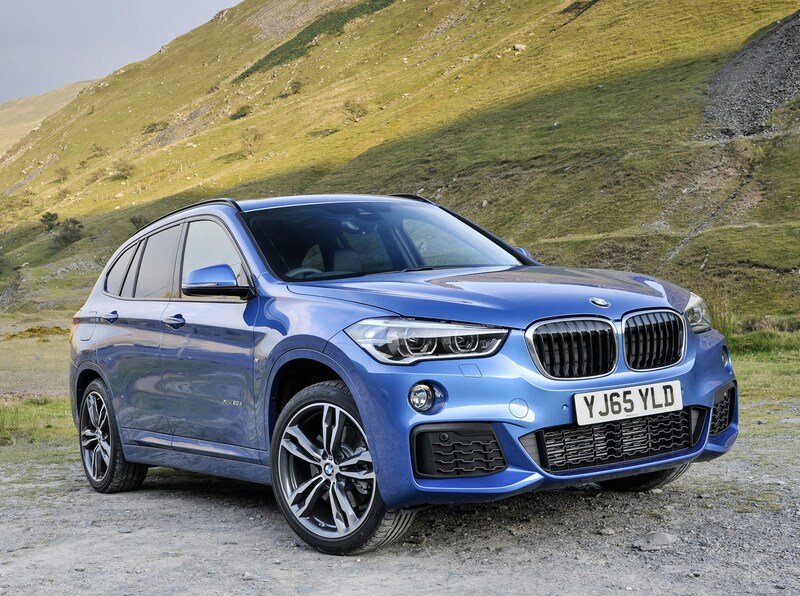 It’s designed to offer the kudos of a premium badge with the convenience and practicality of a mid-sized SUV, not to mention the driving pleasure that BMW proudly announces across its entire range. 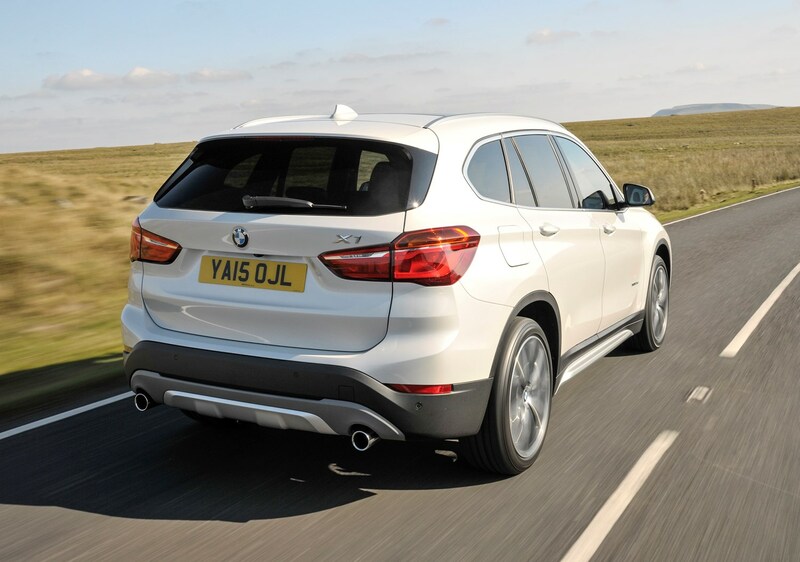 The X1 isn’t alone in its sector, however, with numerous rivals all claiming to offer a premium SUV package at prices that shouldn’t break the bank. 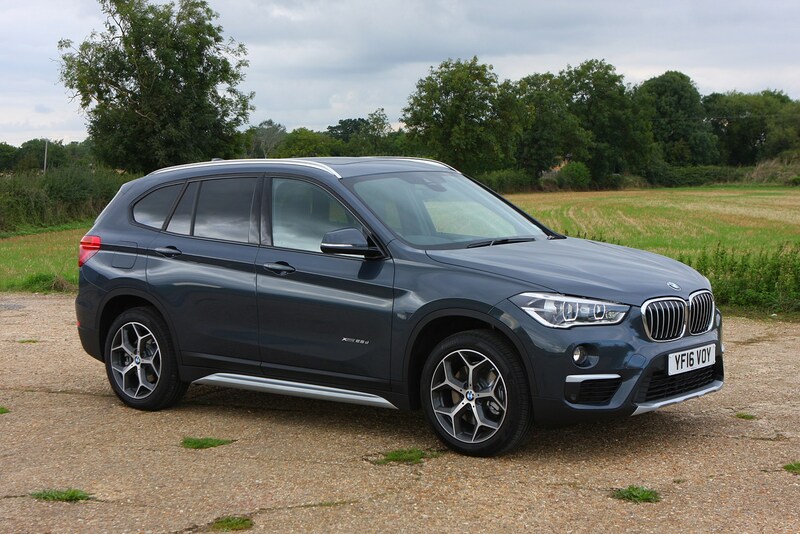 Chief among which is the Audi Q3, Jaguar E-Pace and Volvo XC40, as well as the slightly smaller Mercedes-Benz GLA. 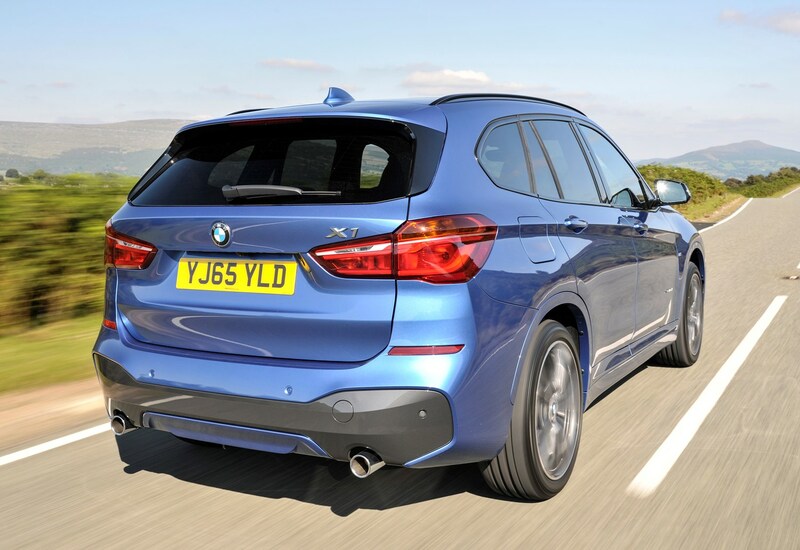 Many buyers still value the traditionally sharper handling of BMW cars and the X1, despite its SUV bodystyle, doesn’t disappoint on that front. 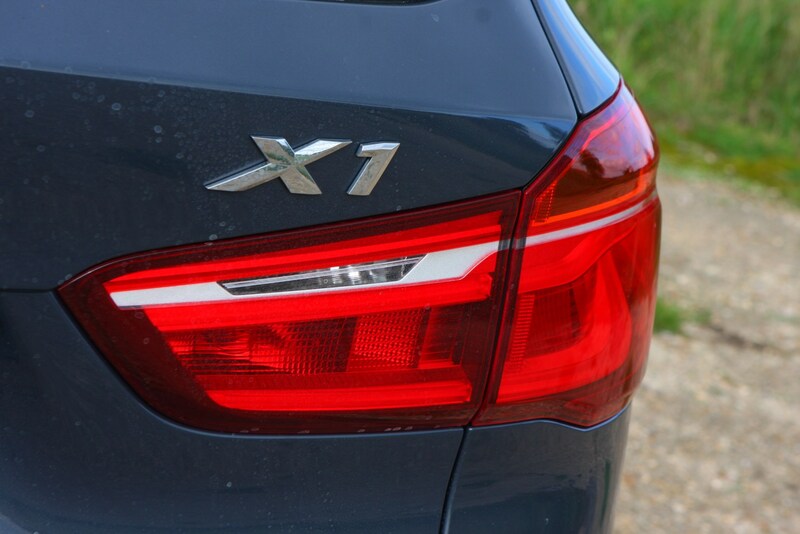 The handling isn’t up there with the lower, lighter 1 Series, yet there’s still an appreciable difference between the way the X1 drives when compared with most if its rivals. 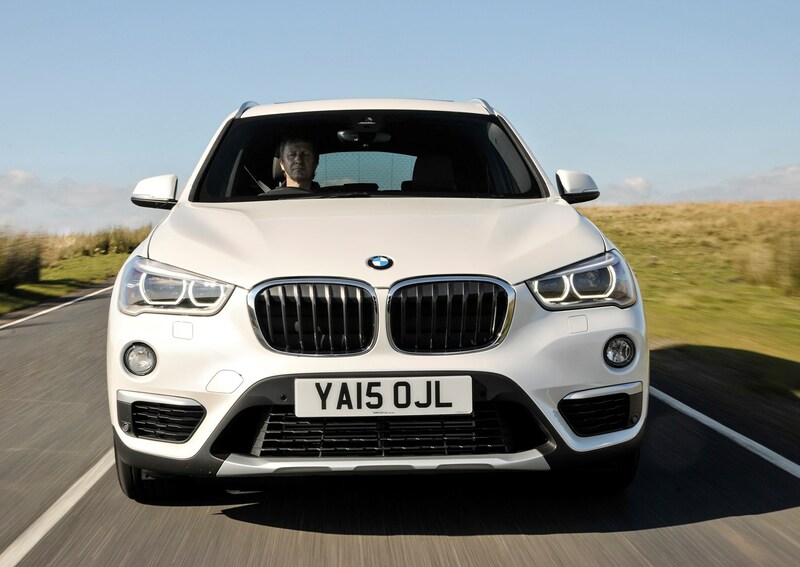 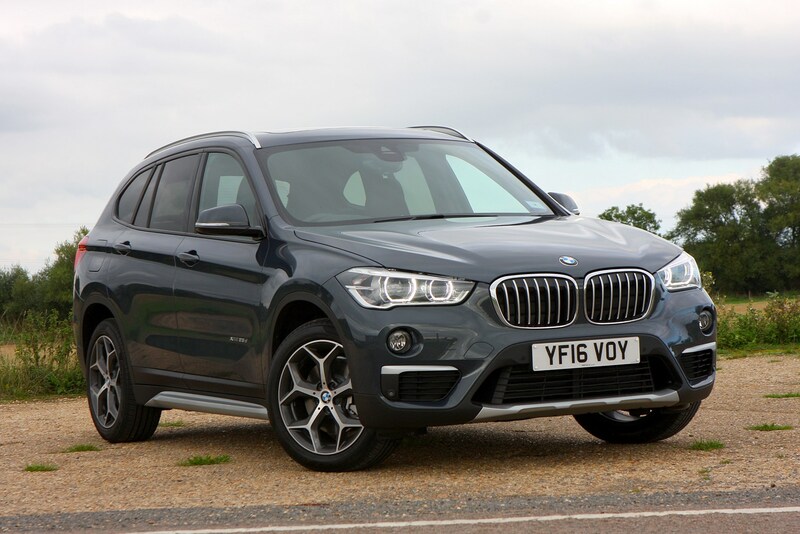 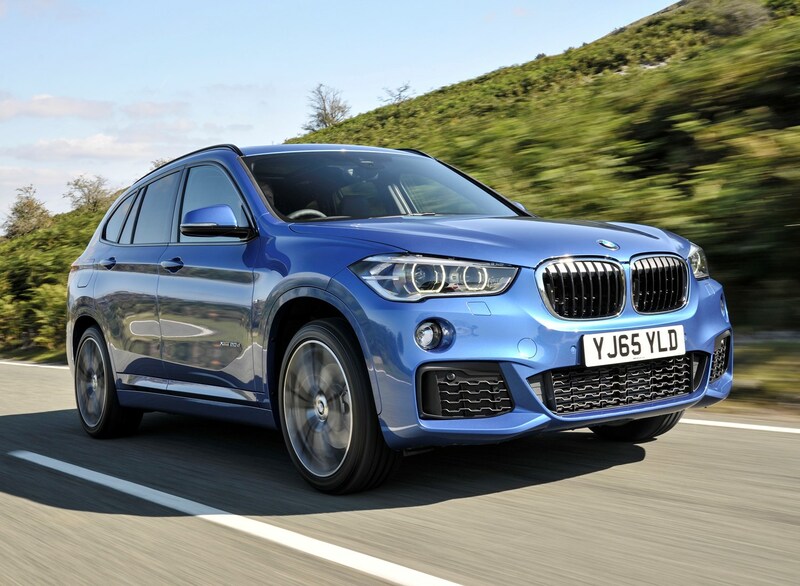 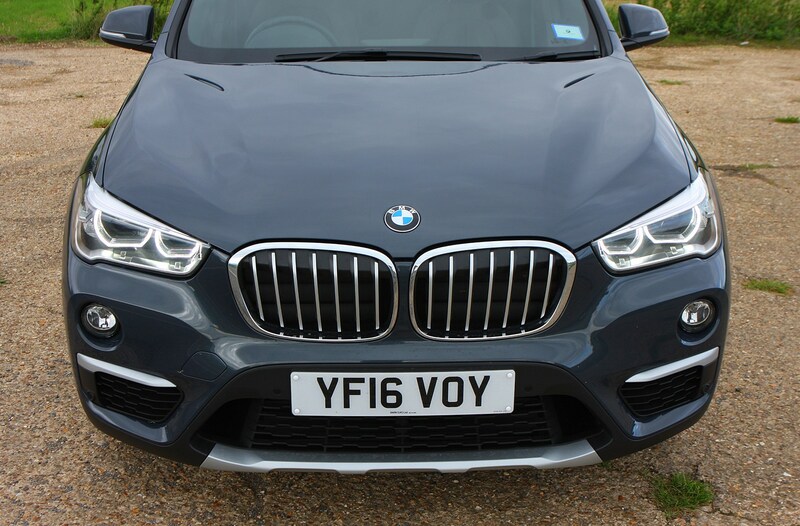 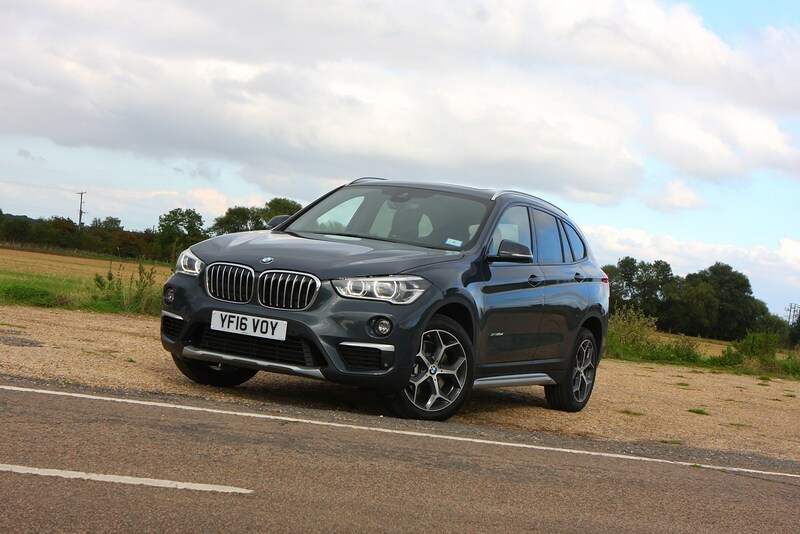 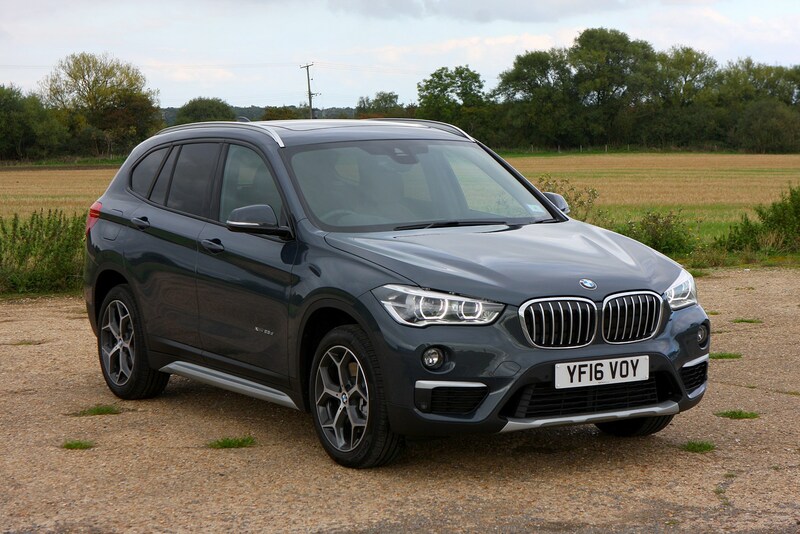 The steering, body control and outright grip levels all go beyond what you’d traditionally expect from an SUV, meaning there’s fun to be had behind the wheel of an X1 if you go searching for it. 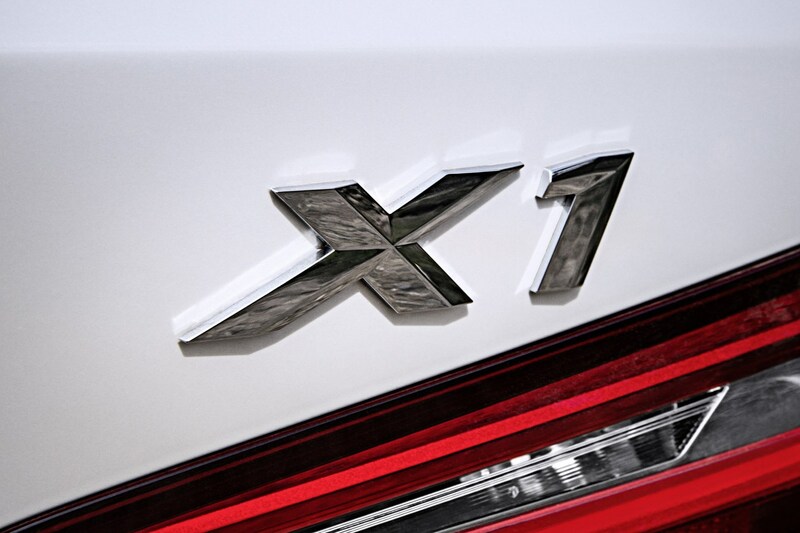 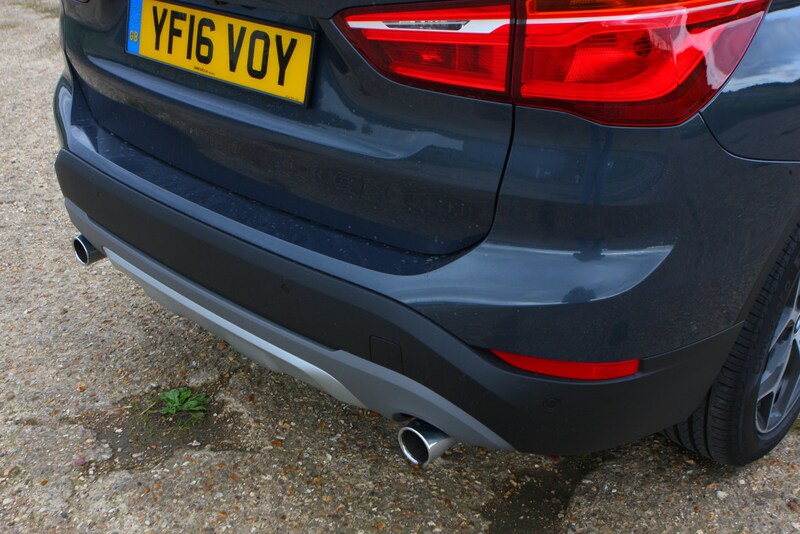 Such dynamic prowess isn’t without its caveats, however, the X1 delivering a firmer ride than many rivals, regardless of whether you spec the optional adaptive dampers. 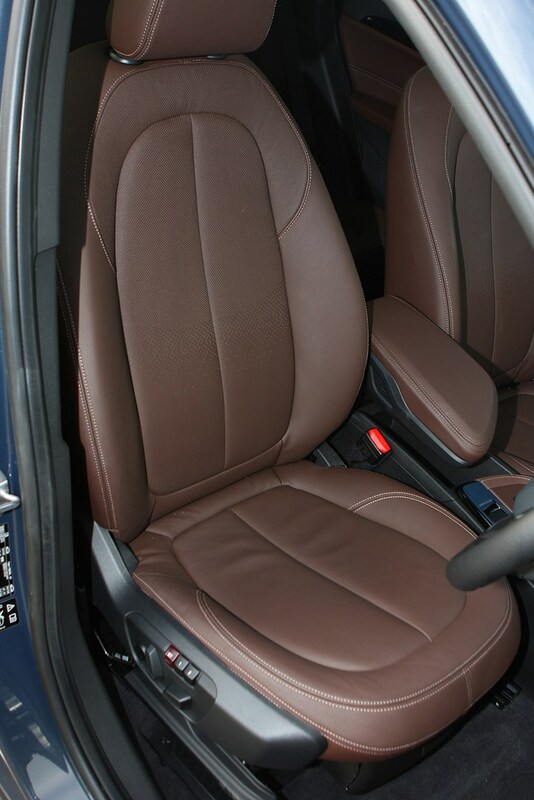 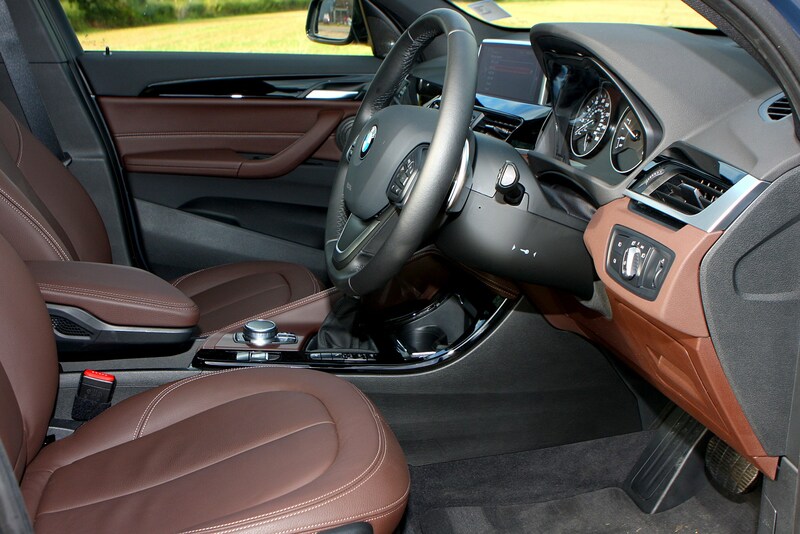 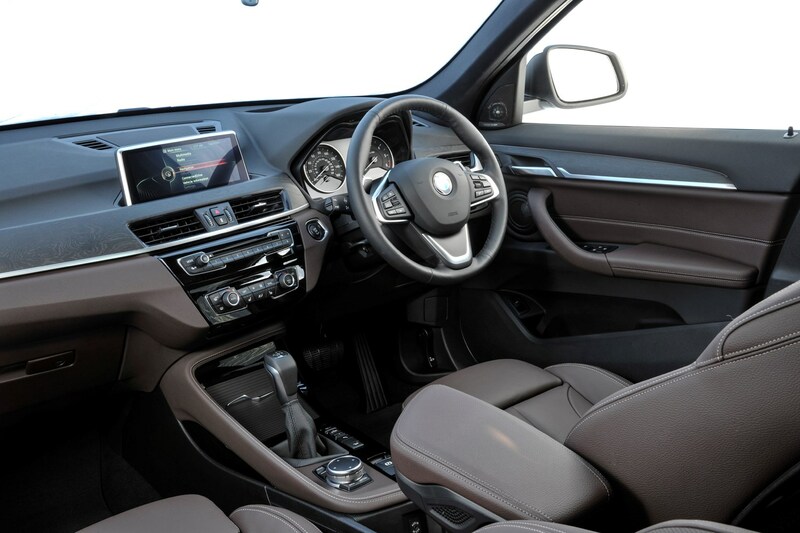 Just because the X1 is the ‘baby’ SUV in the BMW range doesn’t mean its treated to anything less than the usual high-quality, logically laid out interior. 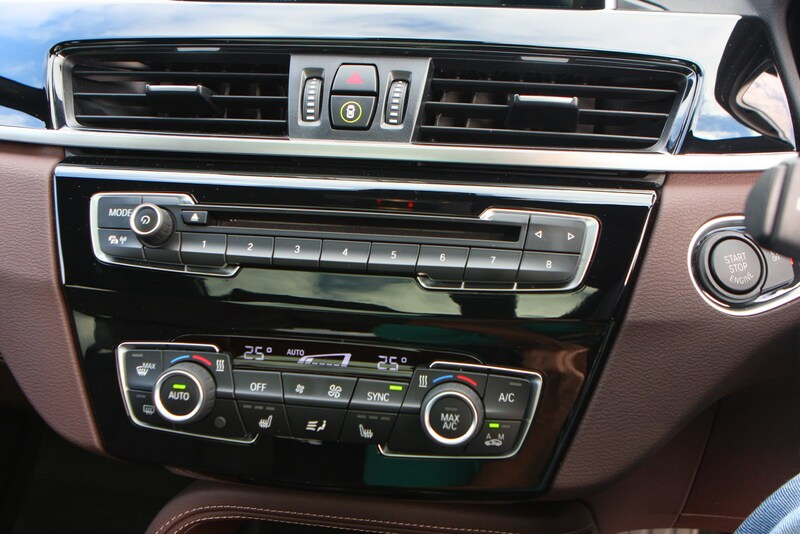 Sure, it might be beginning to look a touch dated, but the materials used and intuitiveness is still up there with the best in class. 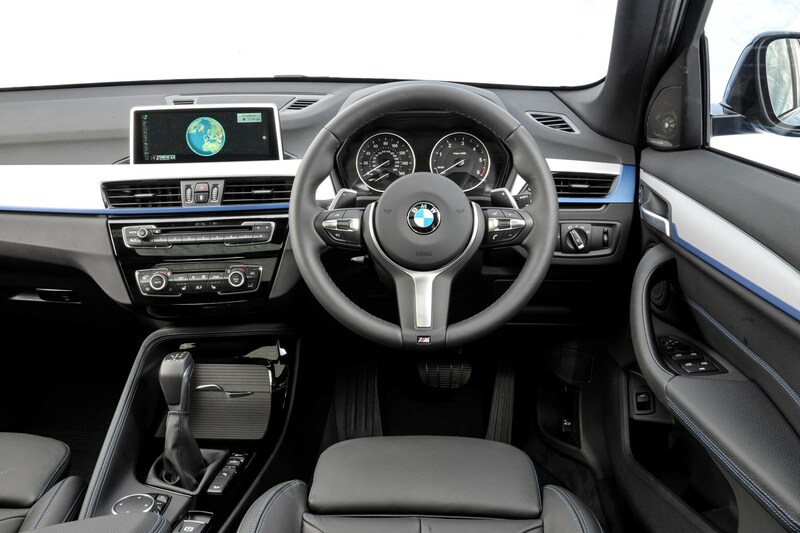 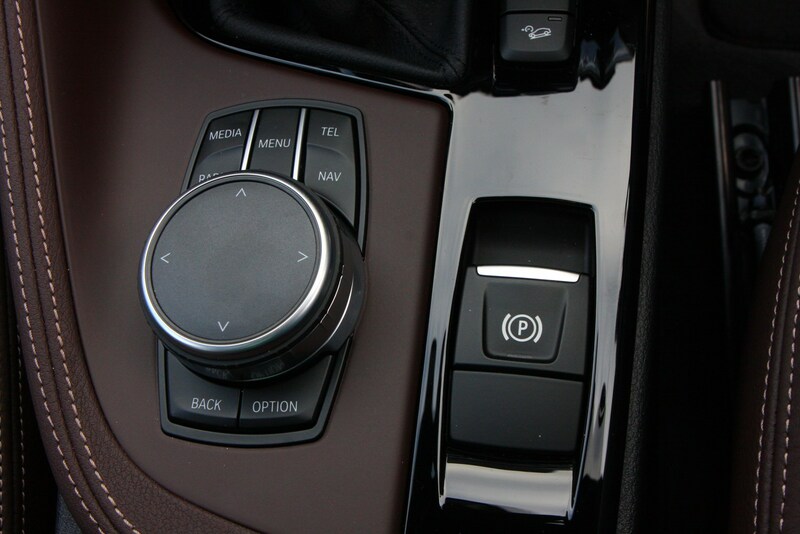 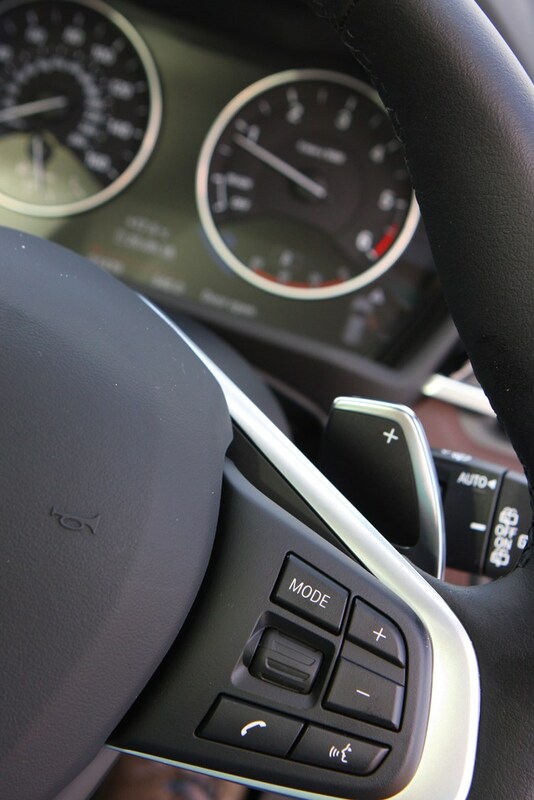 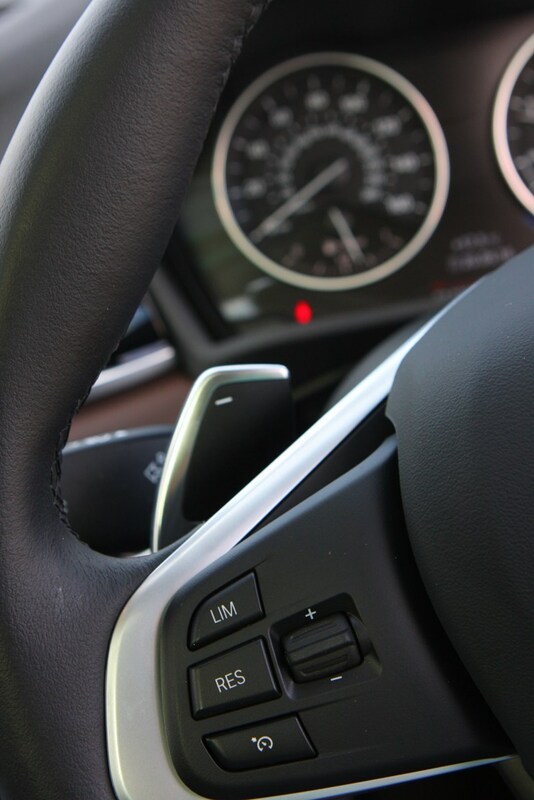 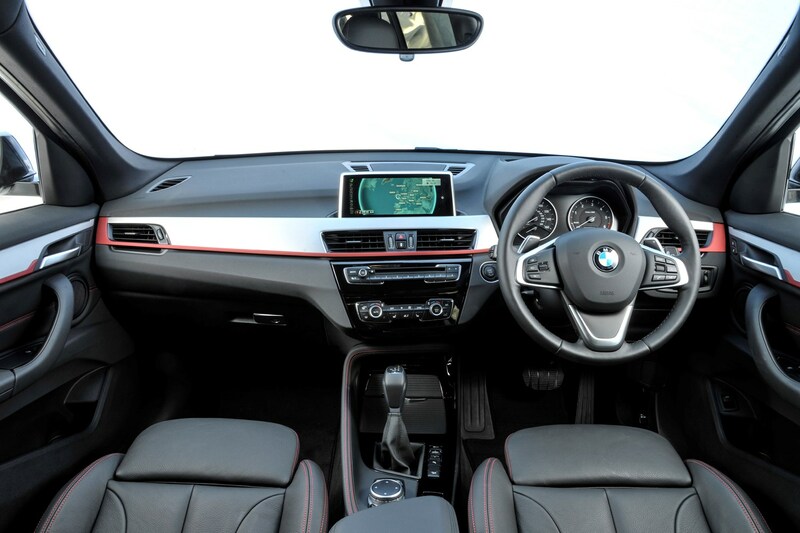 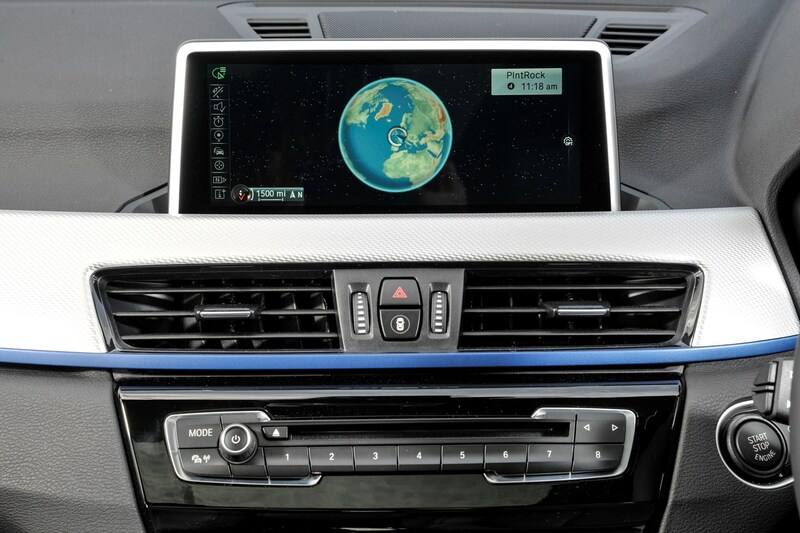 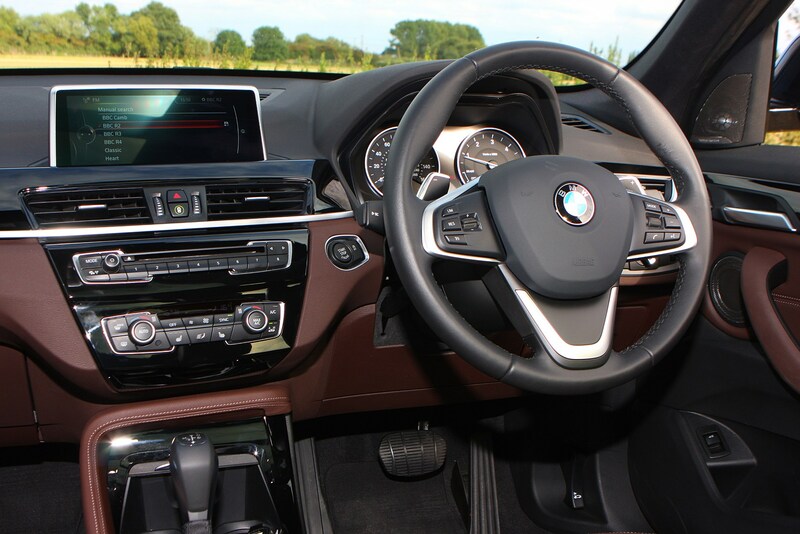 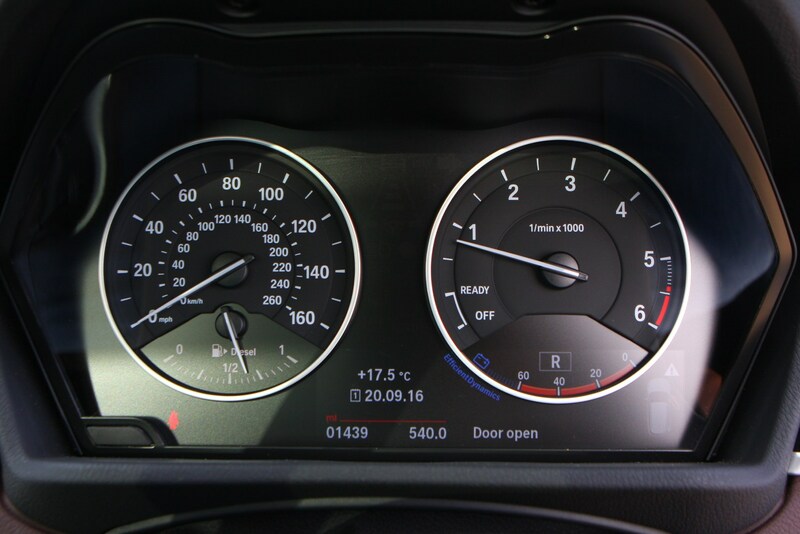 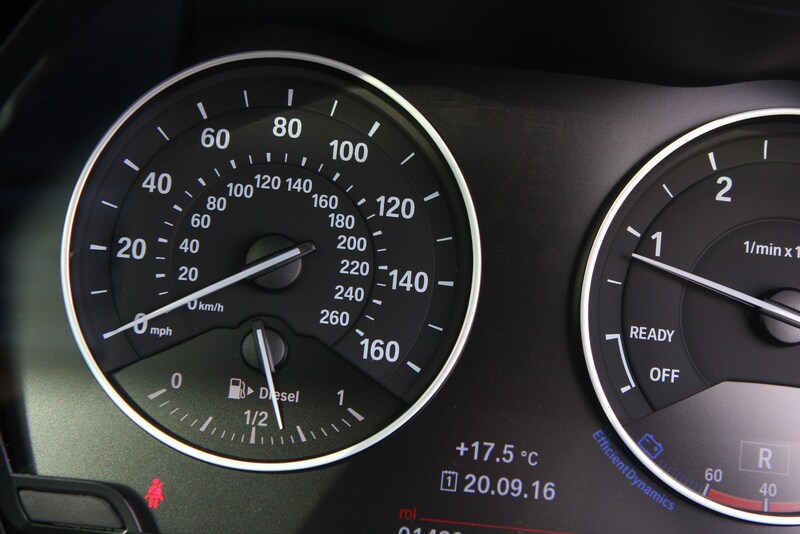 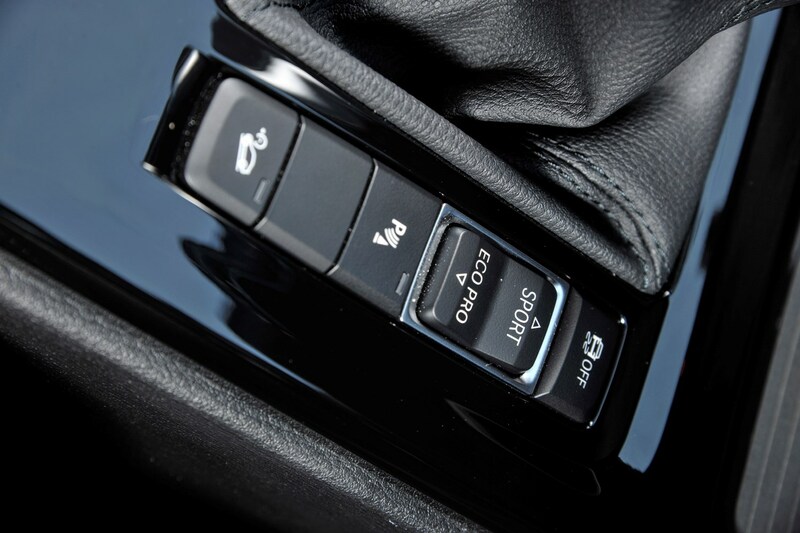 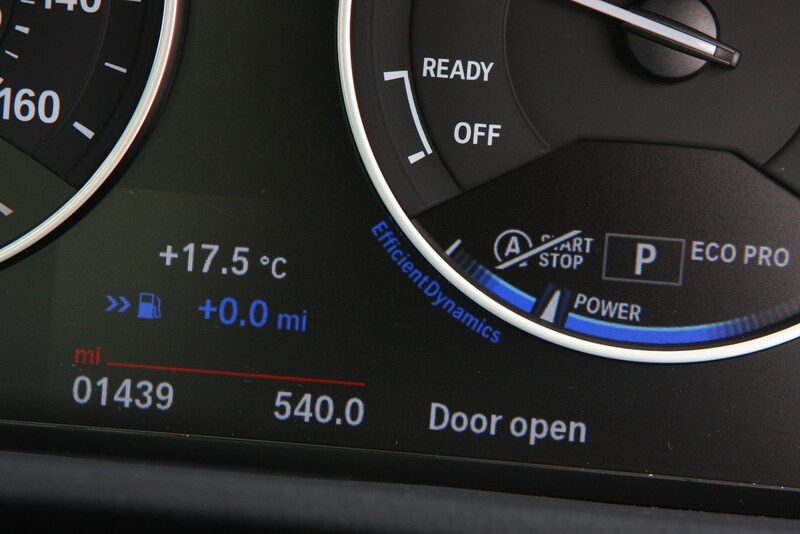 BMW’s iDrive system may be being phased out in favour of newer technology, but together with the rotary dial controller it’s still an excellent infotainment system with almost all the functionality you could wish for – Android Auto compatibility remains elusive. 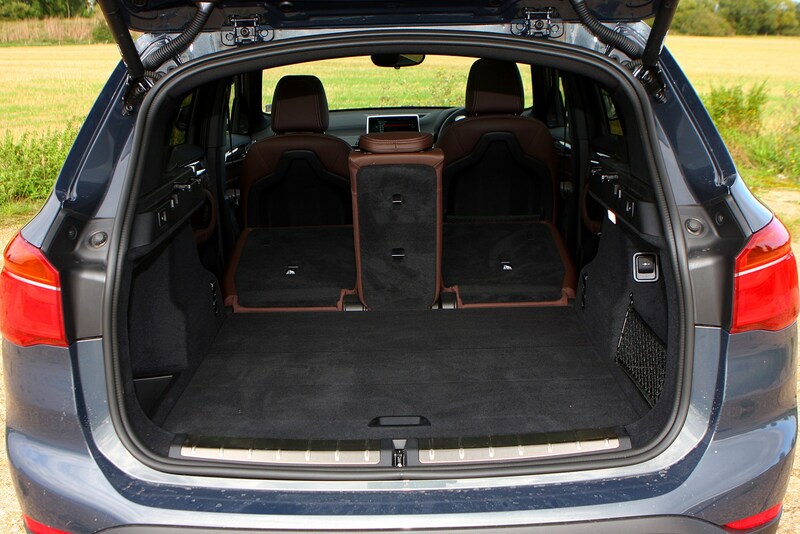 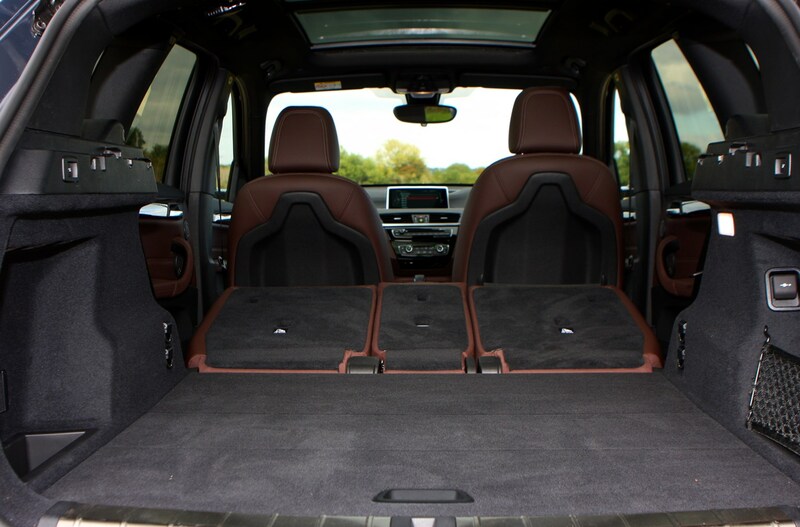 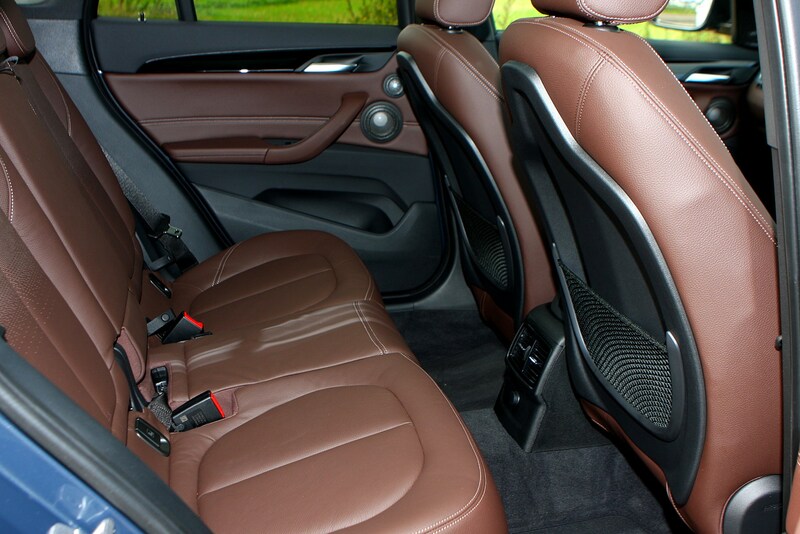 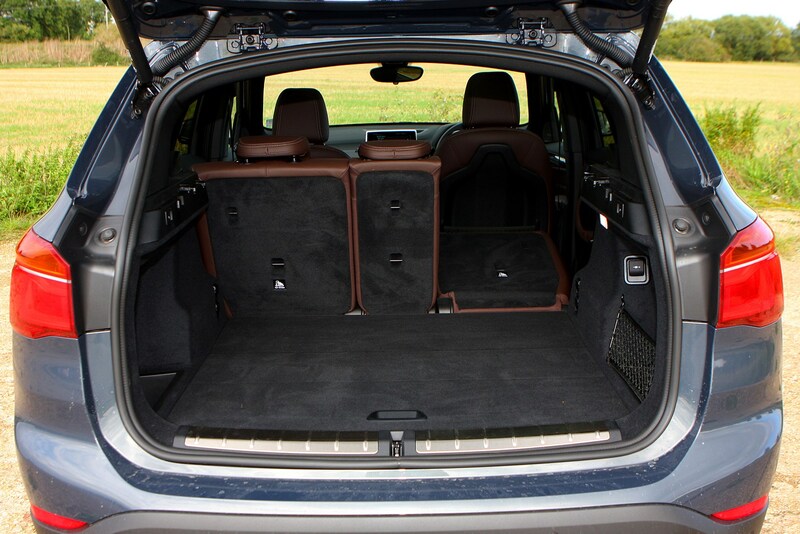 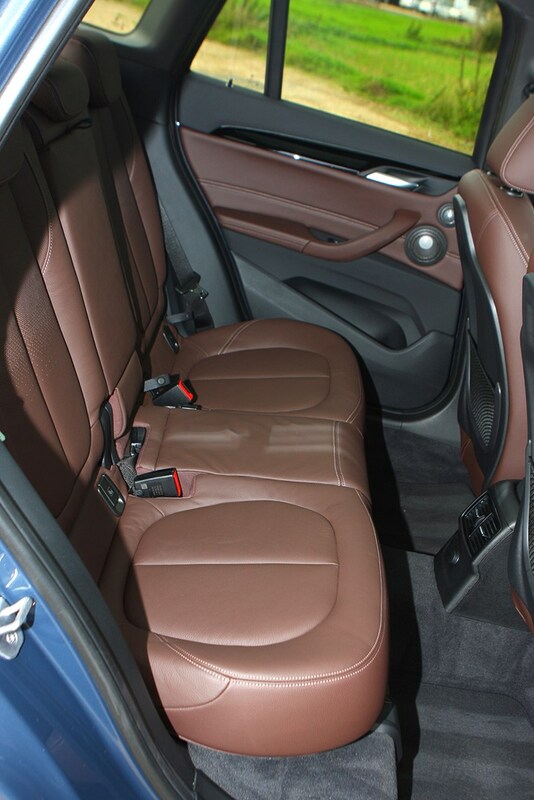 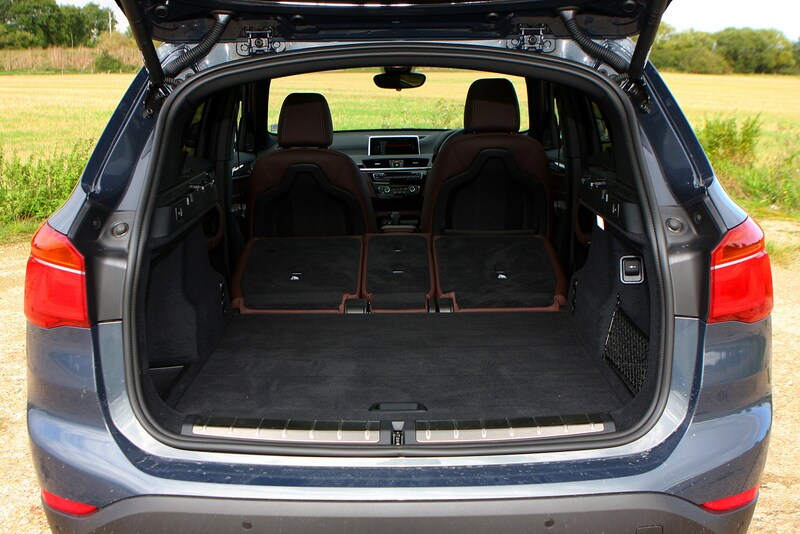 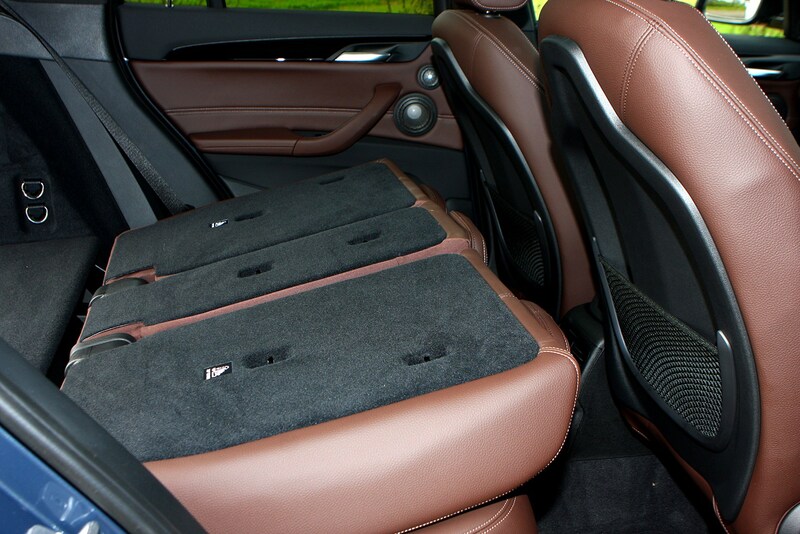 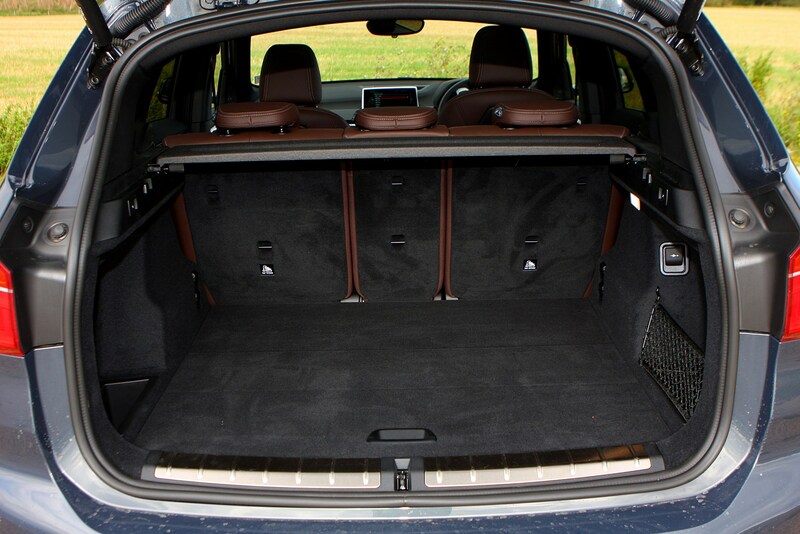 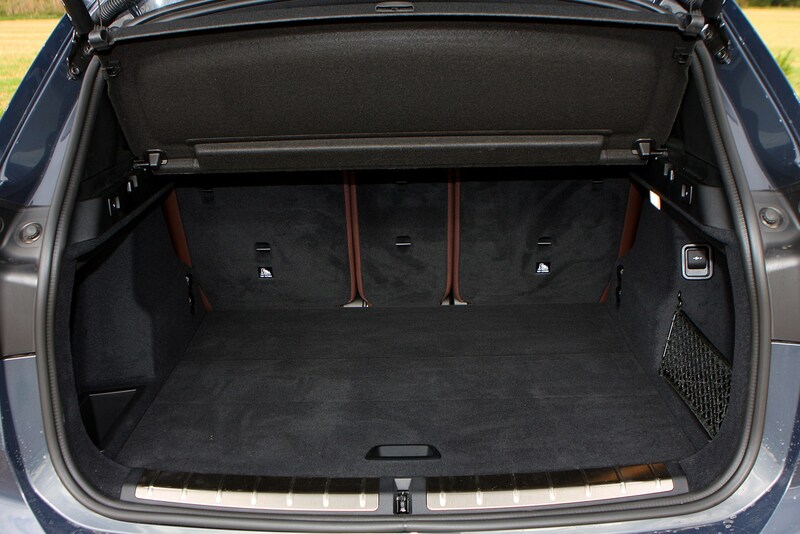 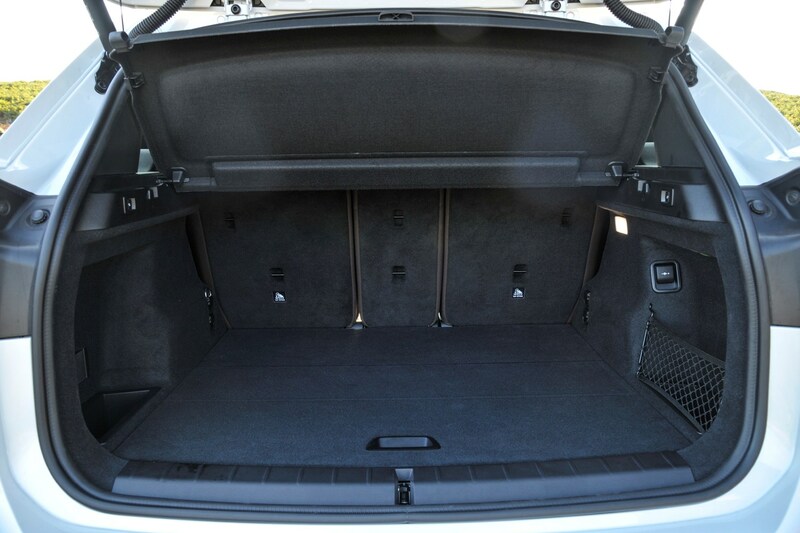 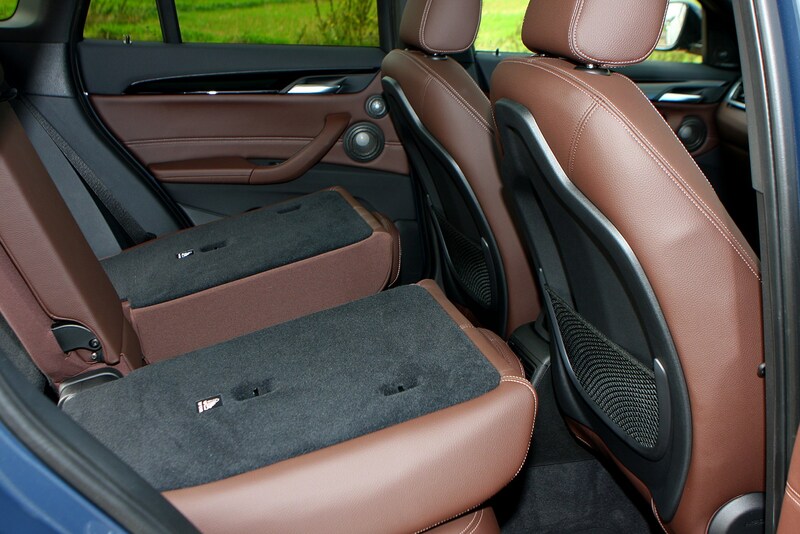 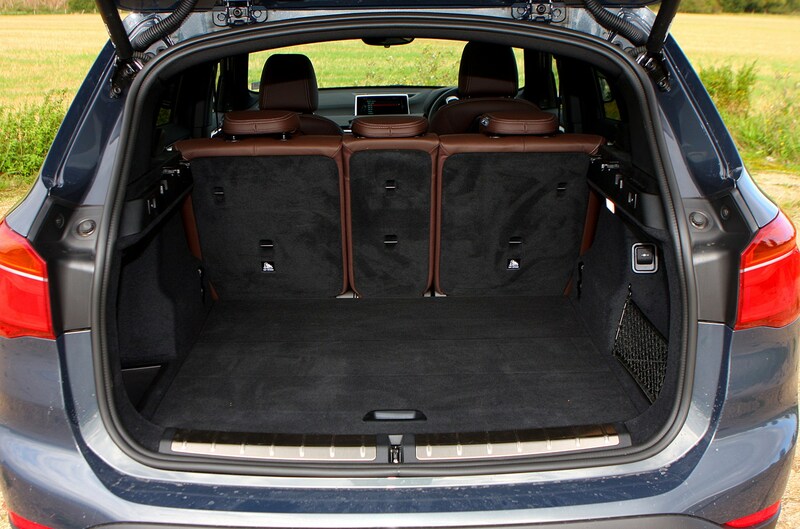 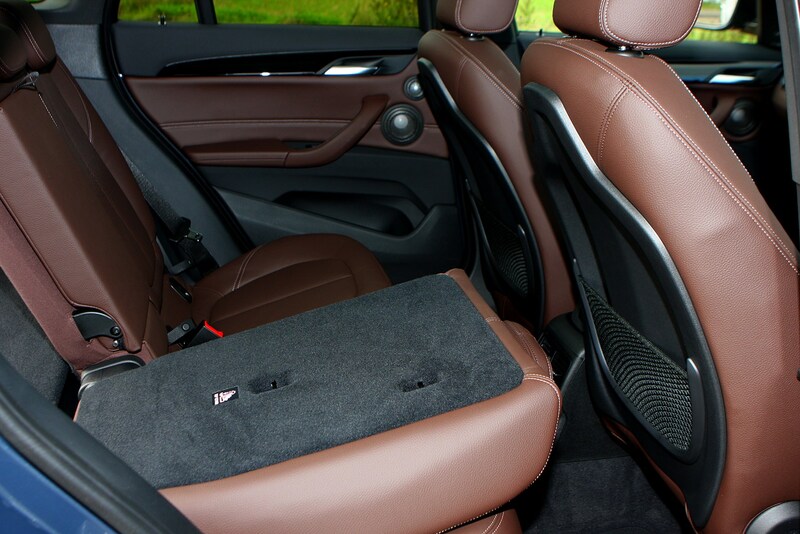 Both the X1’s rear-seat space and luggage capacity are impressive. 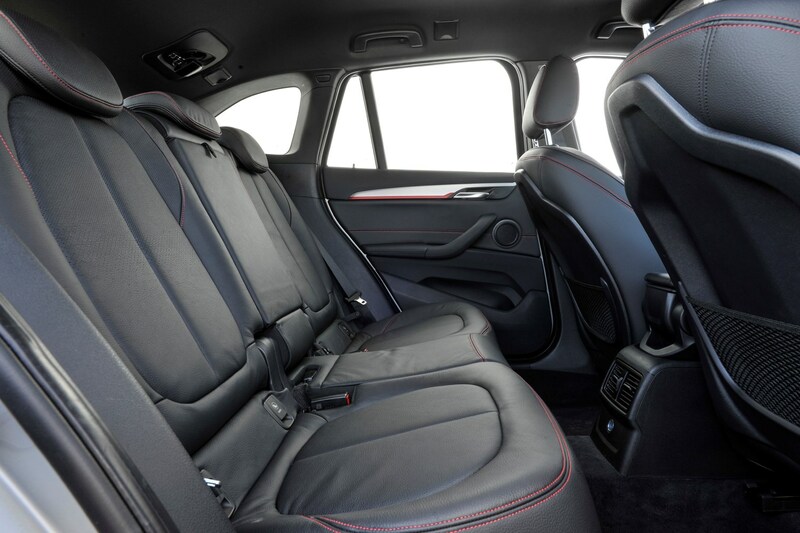 The former is competitive, in part, due to the standard-fit sliding second row of seats that allow users to create less or more legroom depending on how much bootspace is needed. 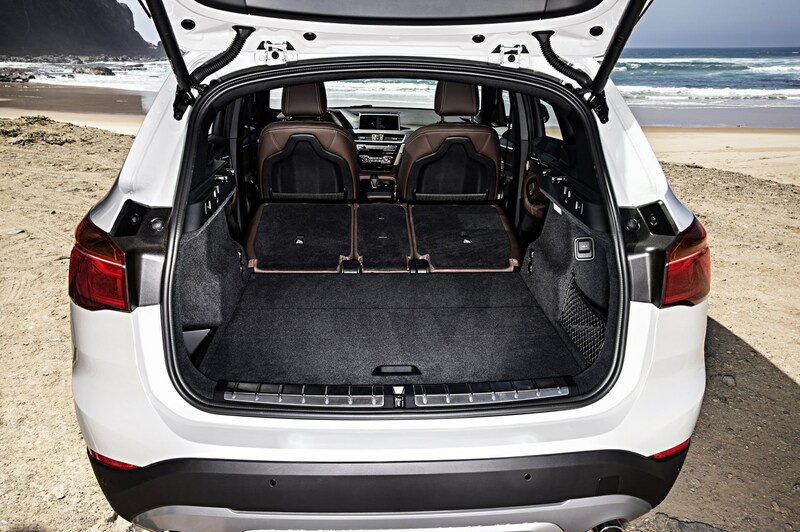 Even in its most forward position, however, there’s still enough room for two adults (three if necessary), plus headroom is also generous. 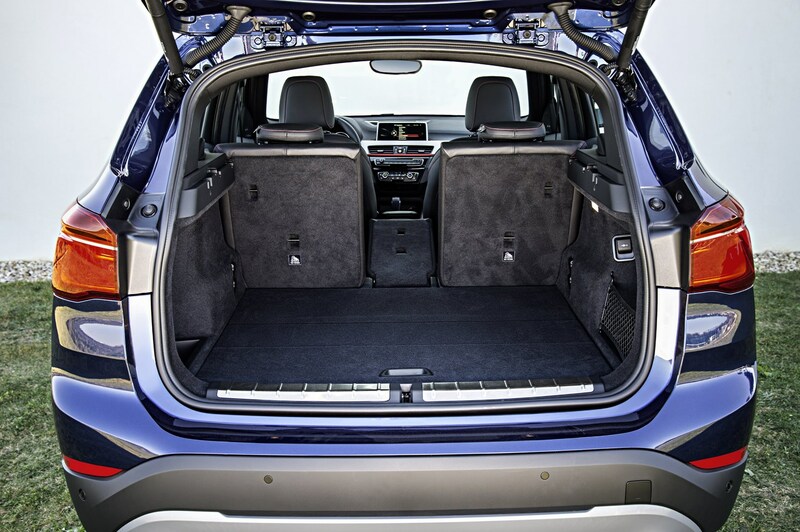 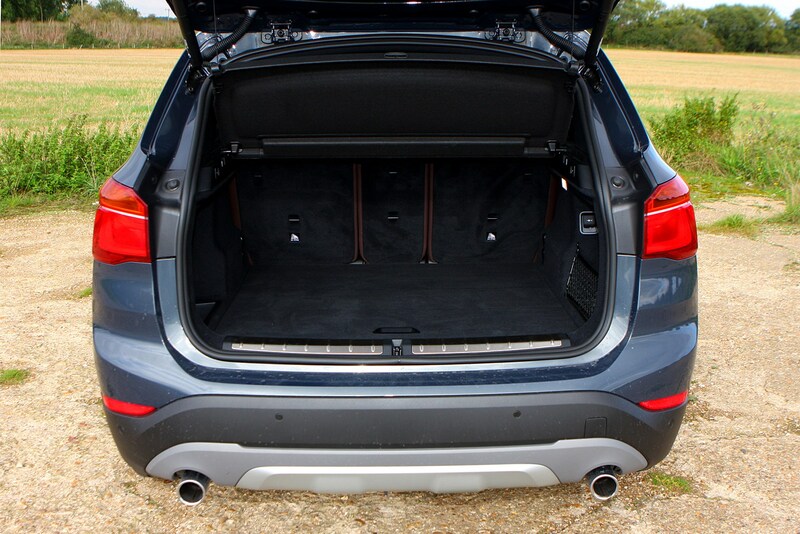 Round at the back, there’s a more than competitive amount of bootspace complemented by a standard-fit electronic tailgate and 40:20:40 split folding rear seats. 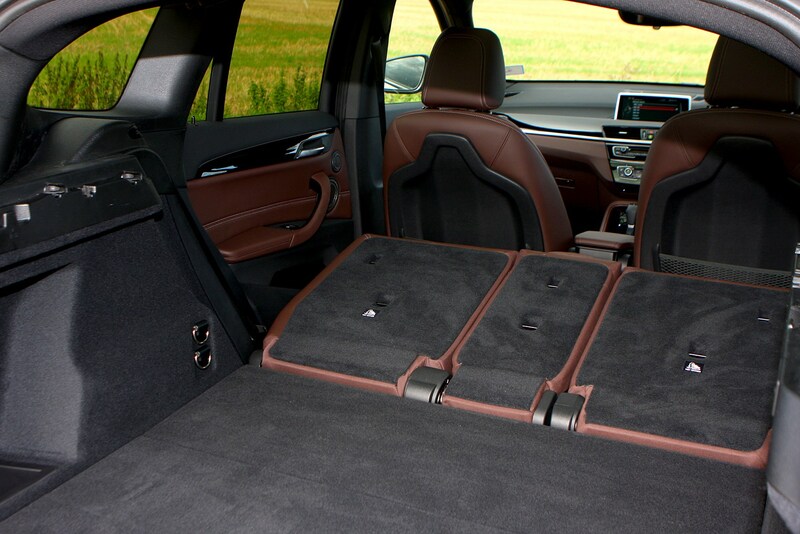 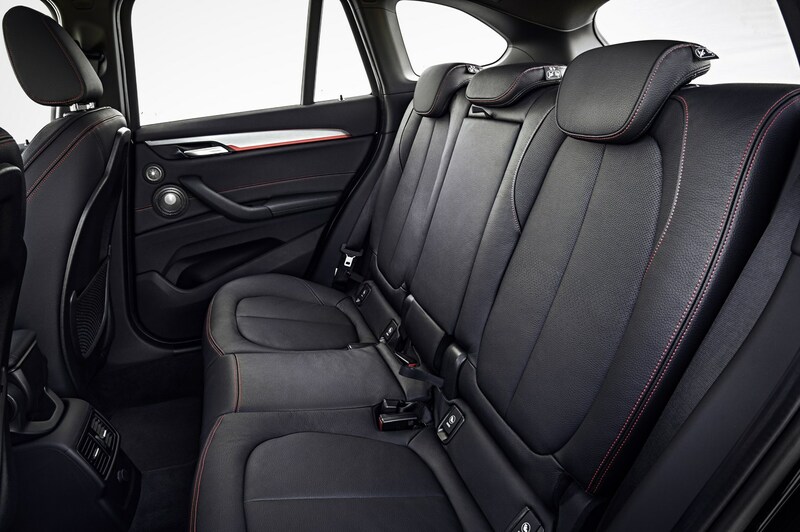 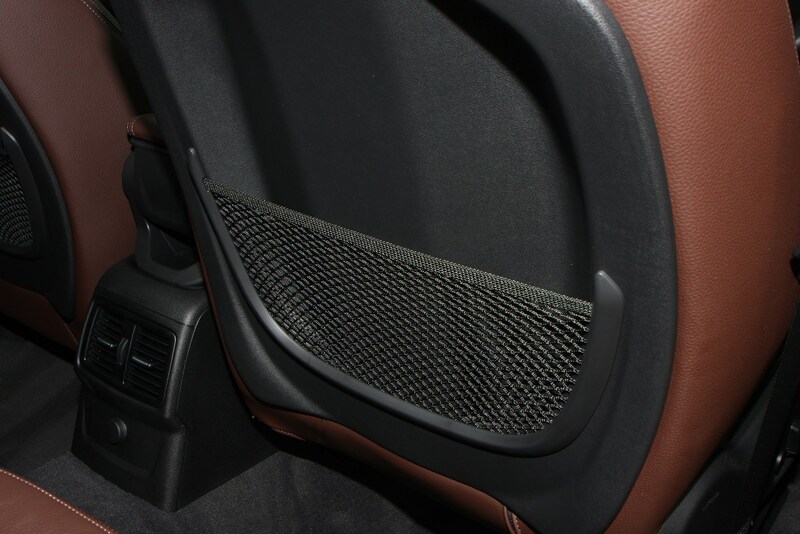 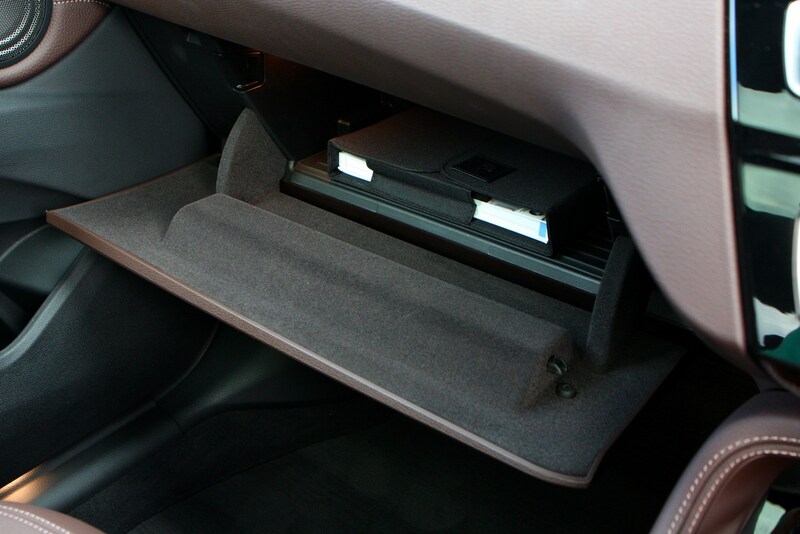 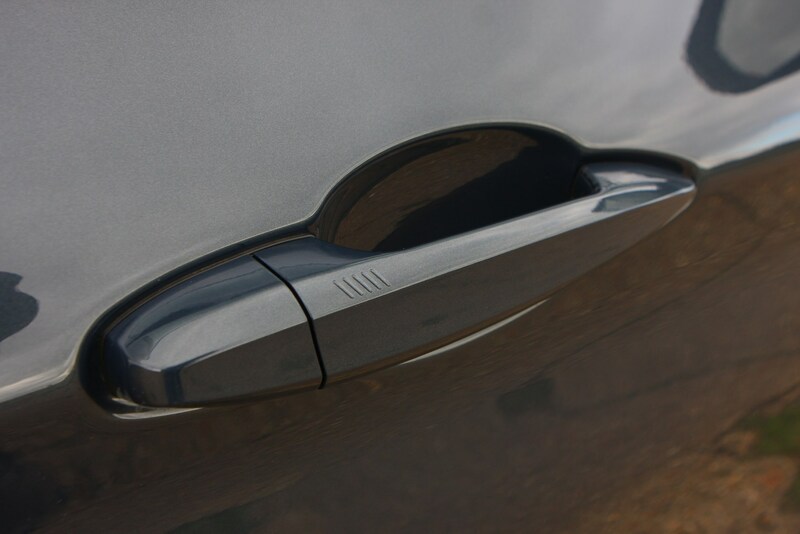 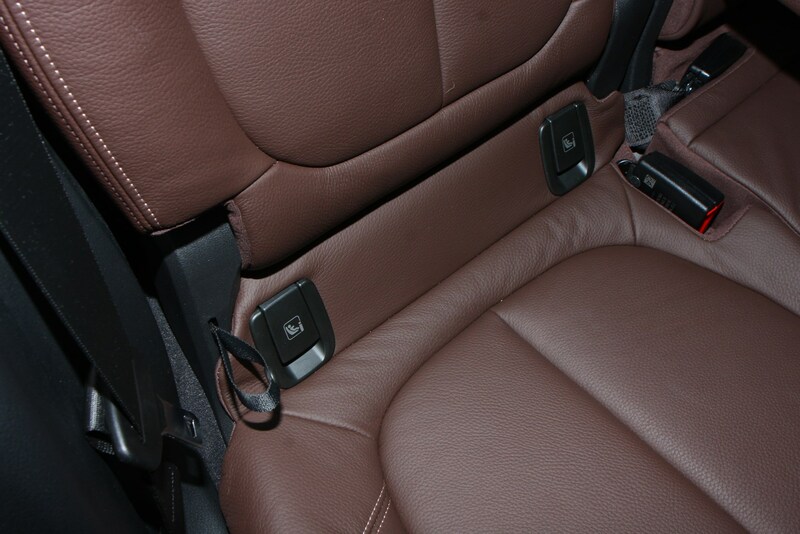 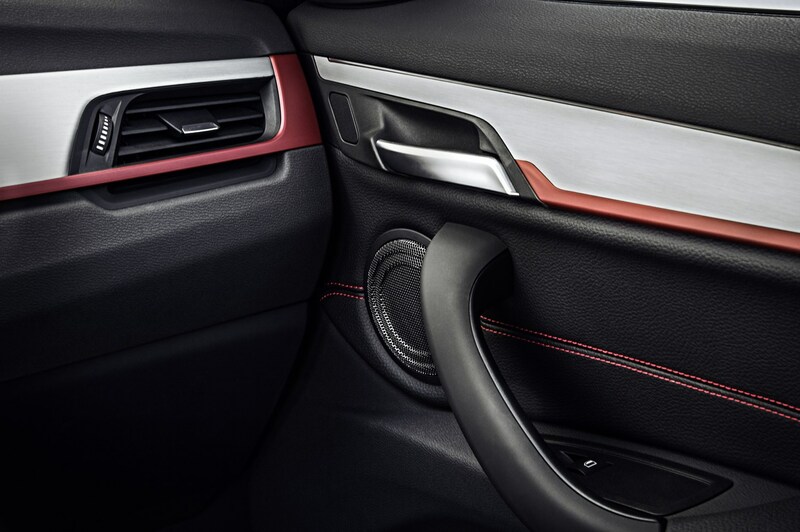 What’s more, said seats fold completely flat at the touch of a lever – handy if you’ve got your hands full with luggage. 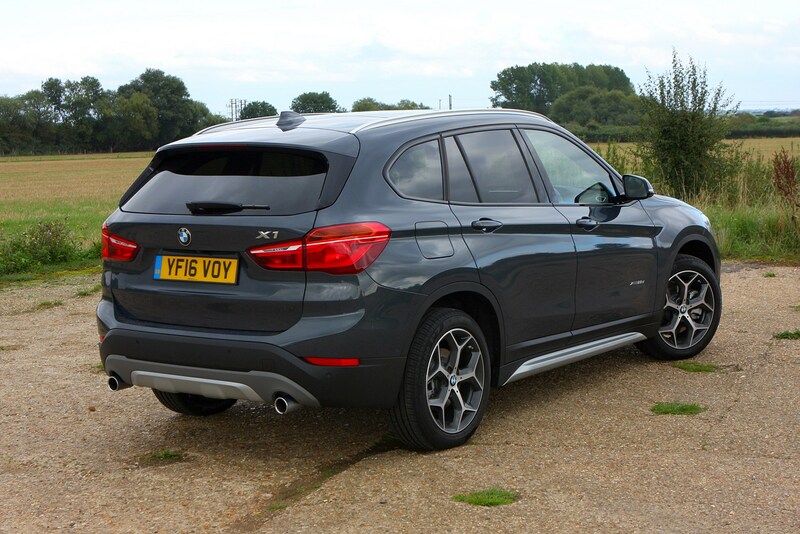 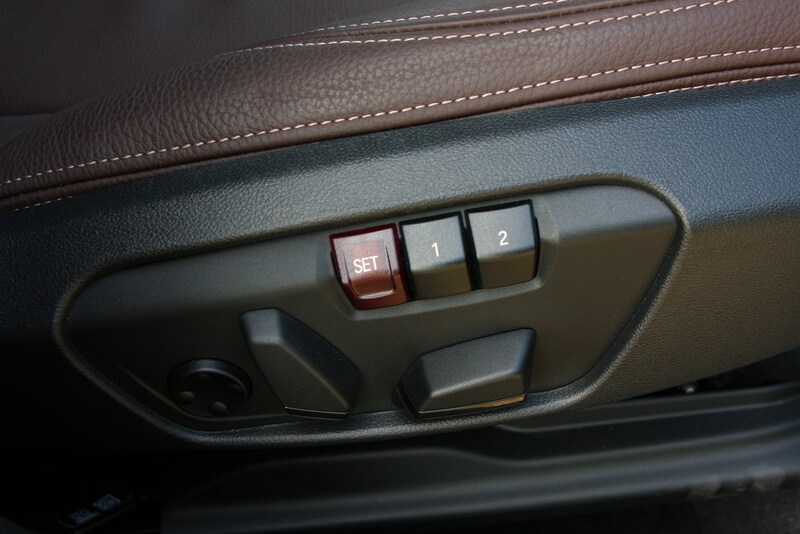 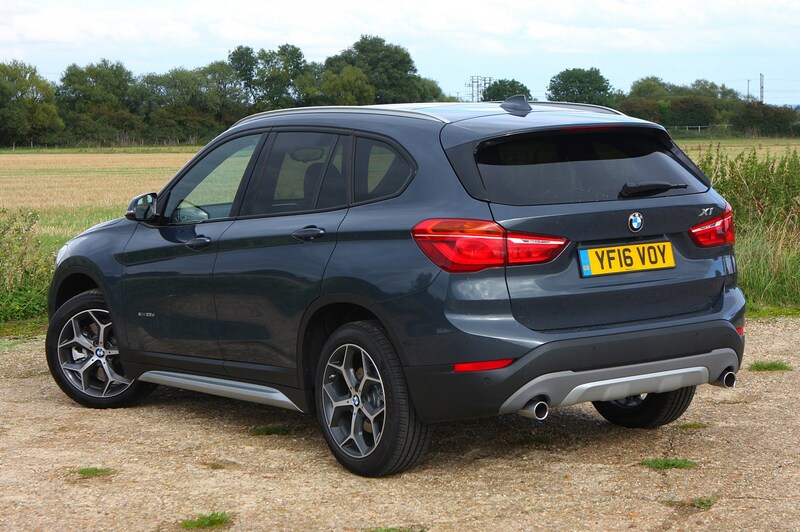 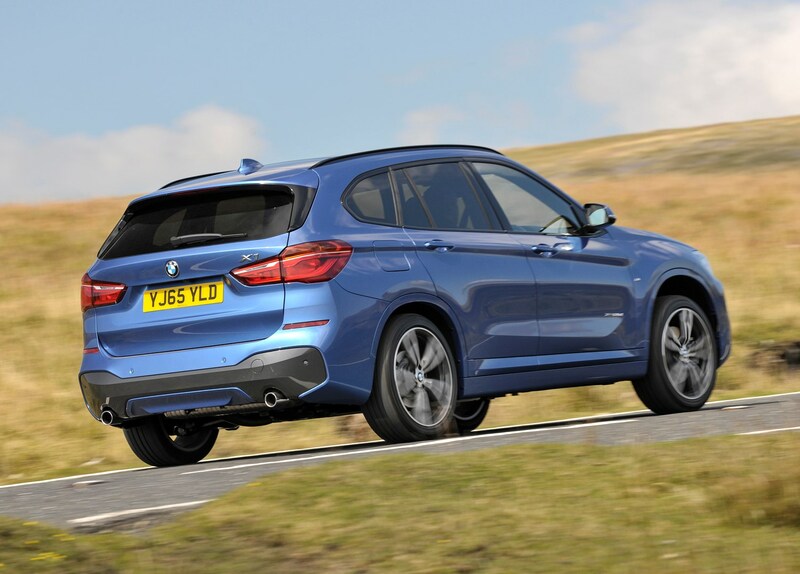 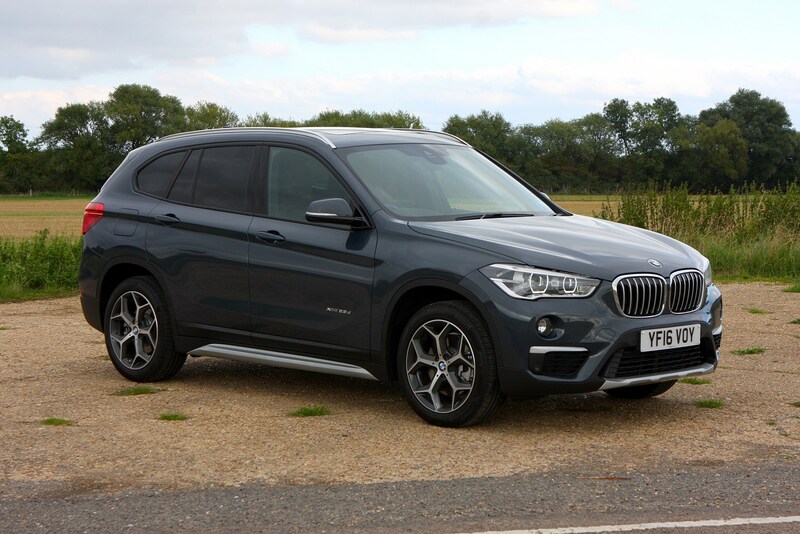 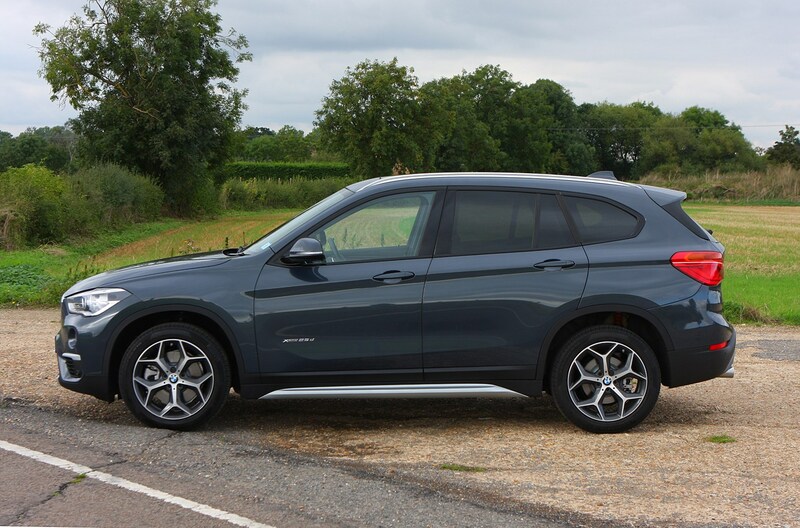 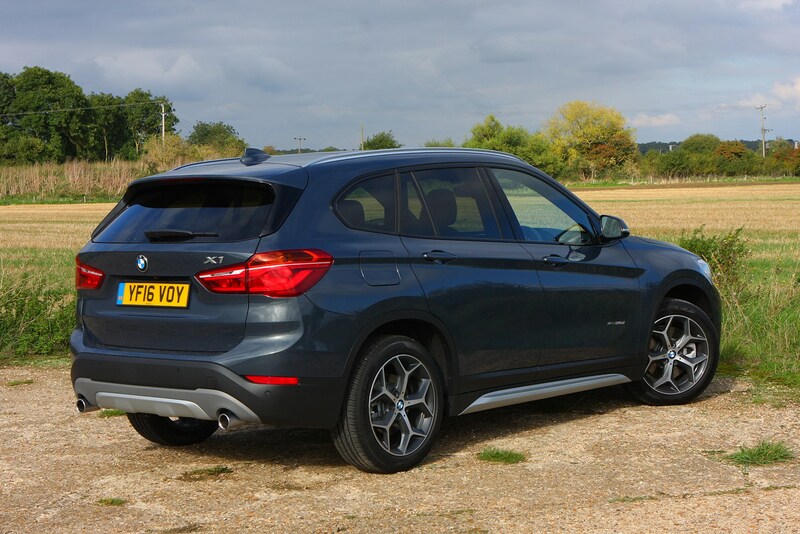 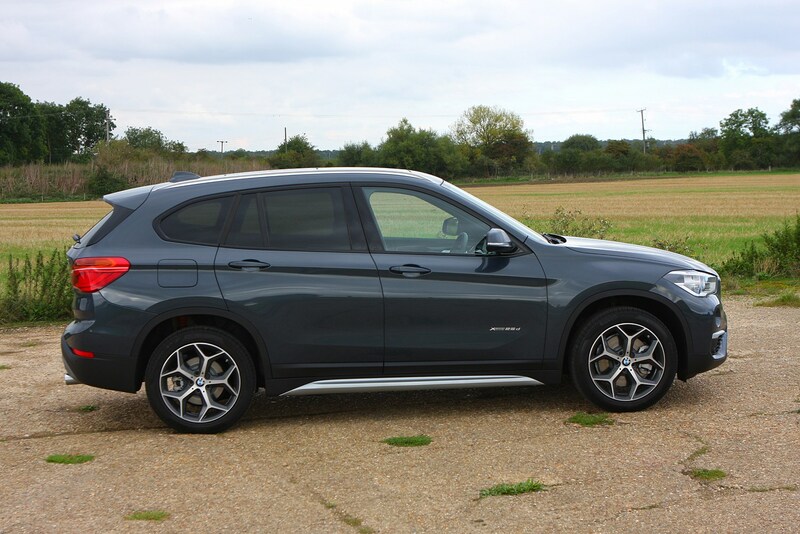 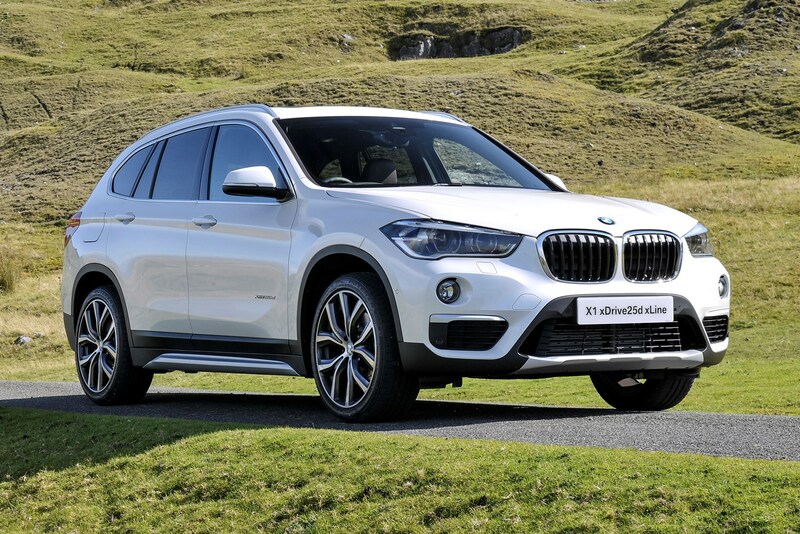 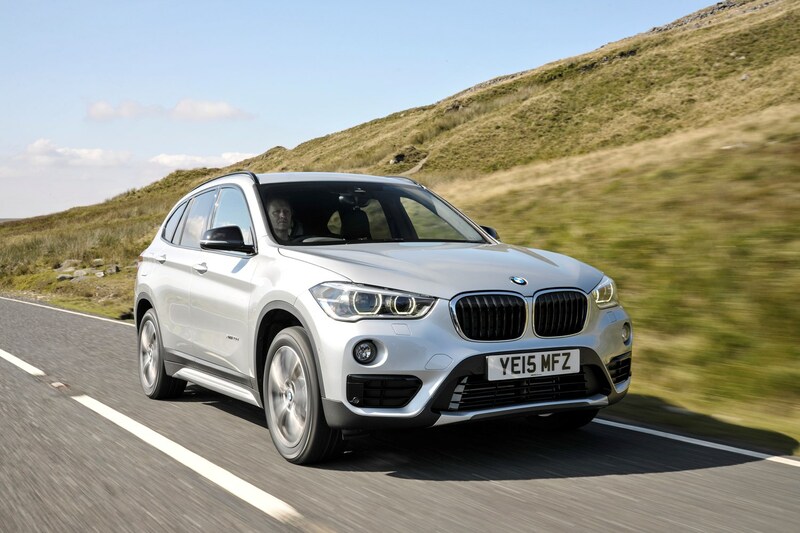 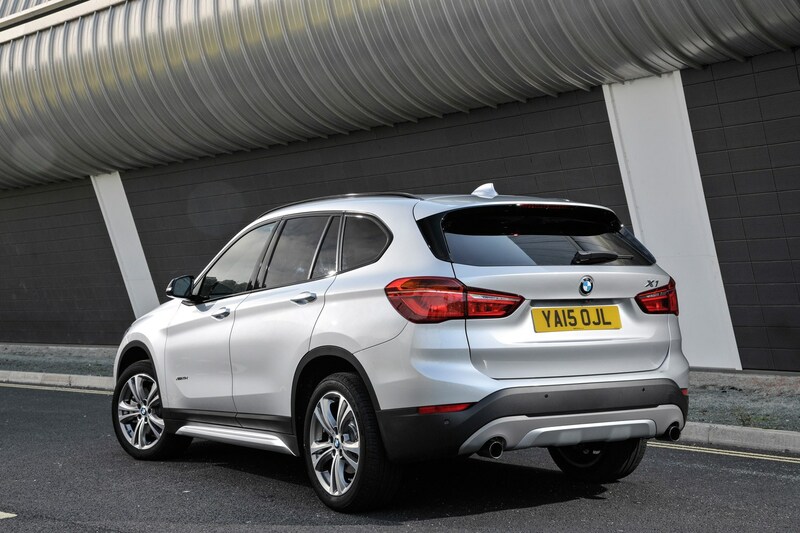 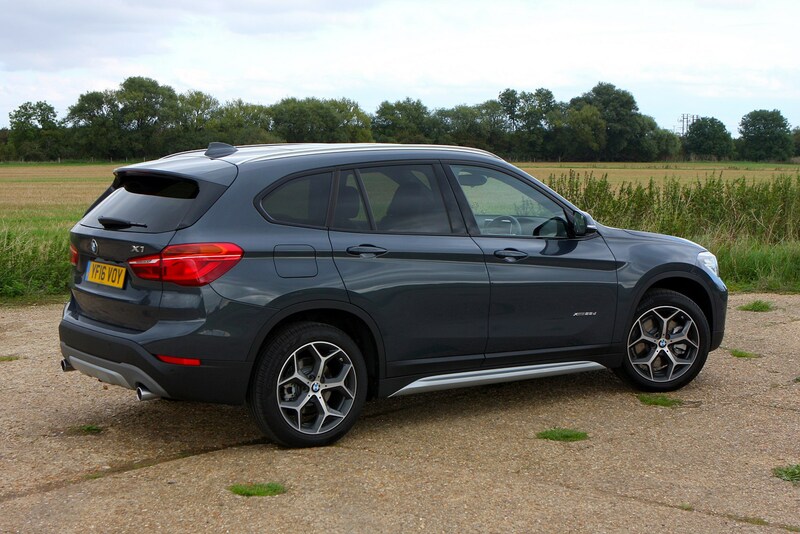 If delving into an options list and picking out clever tech or handy extras is something you enjoy, then the X1 – like many BMWs – will be well suited to you. 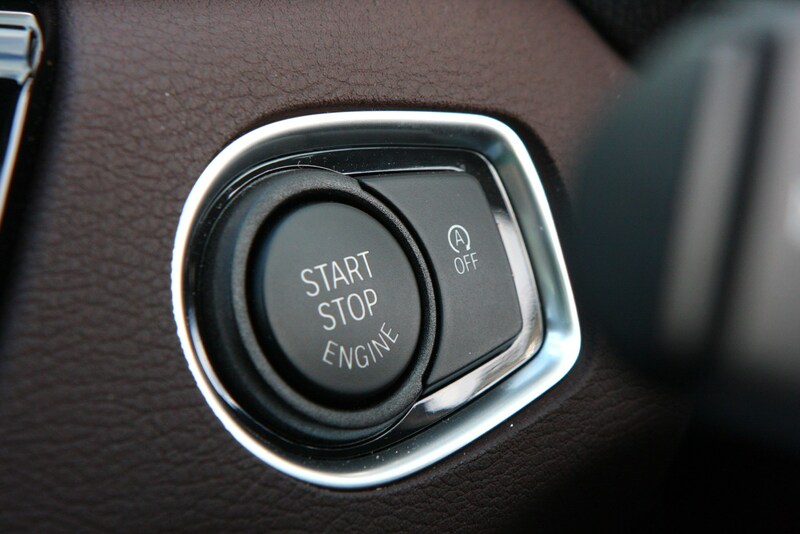 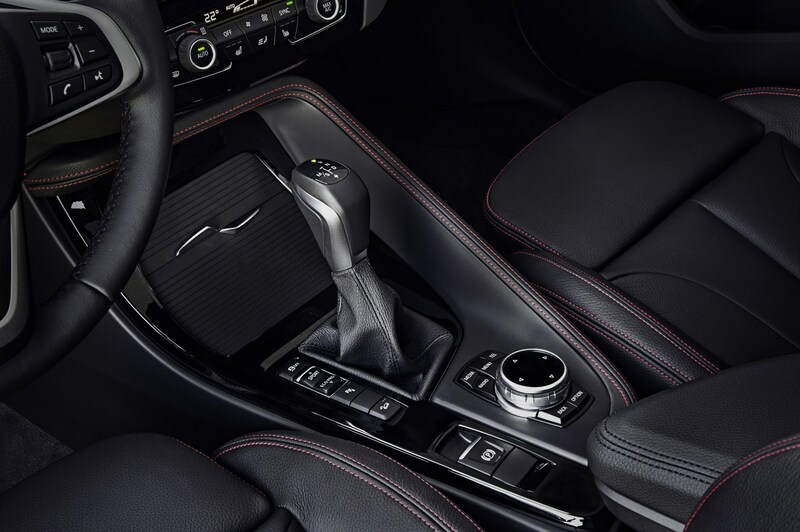 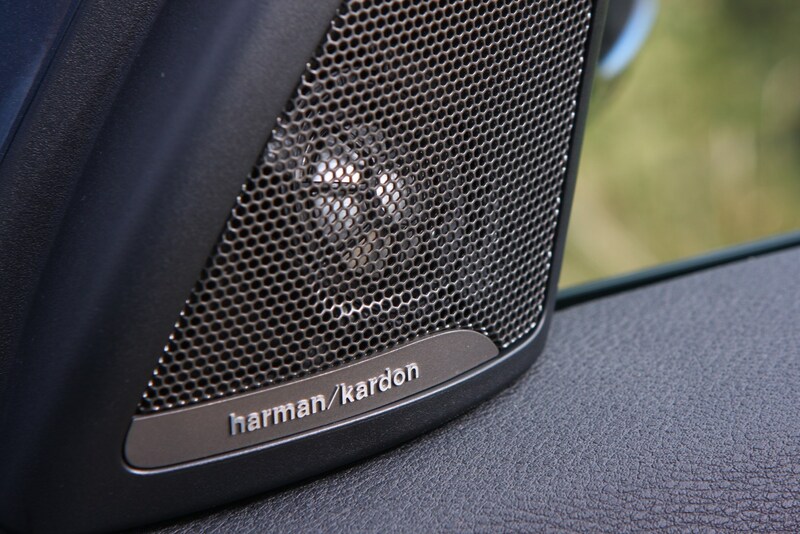 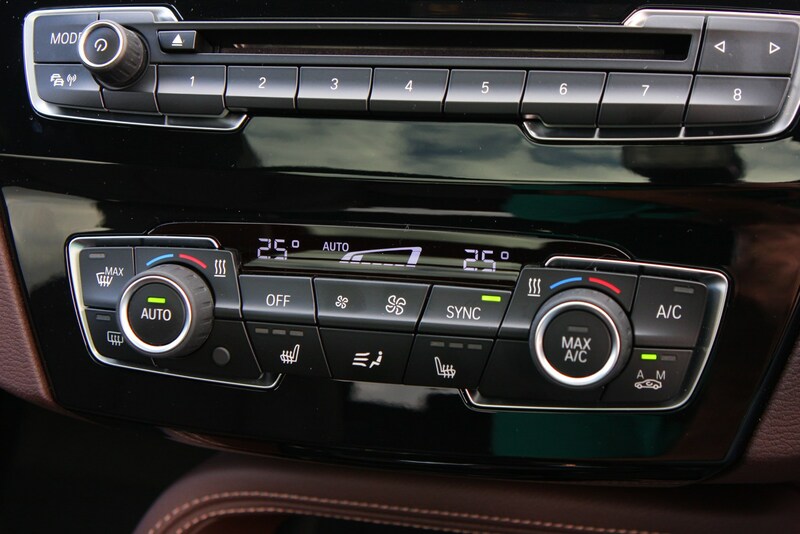 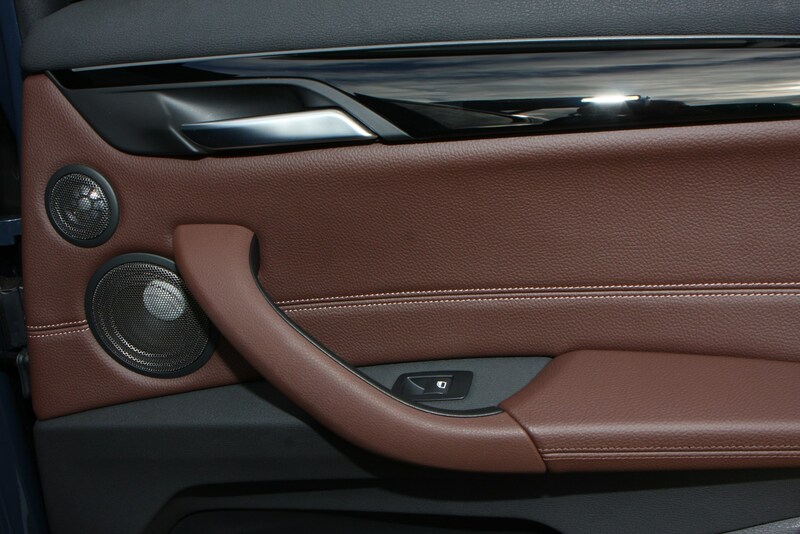 Gadgets include adaptive cruise control, Apple CarPlay, a Harman Kardon sound system and keyless entry. 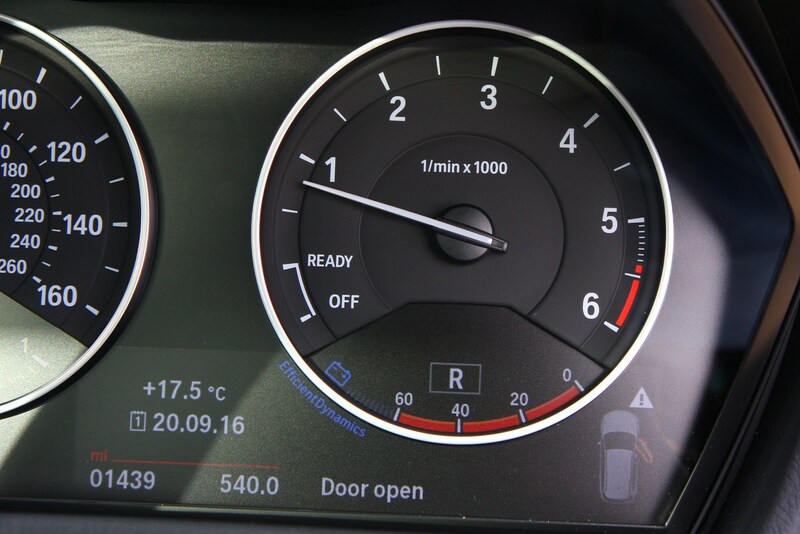 The downside to this is that standard kit levels aren’t perhaps as generous as they should be. 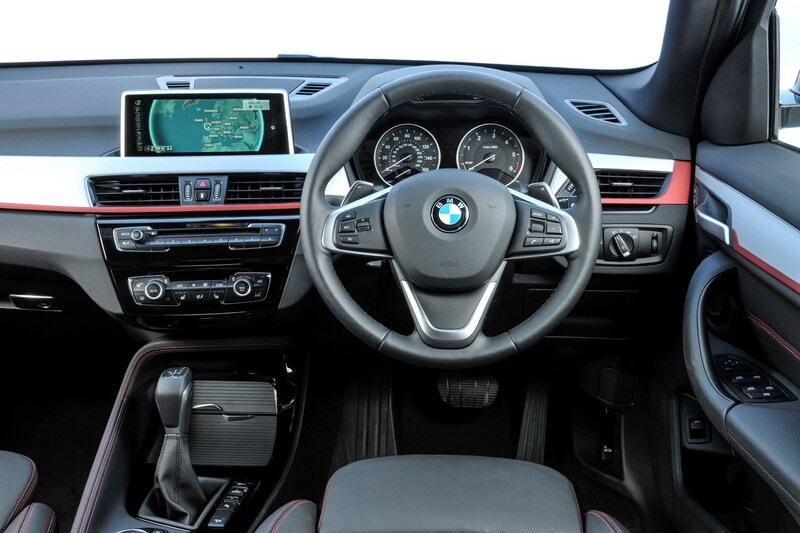 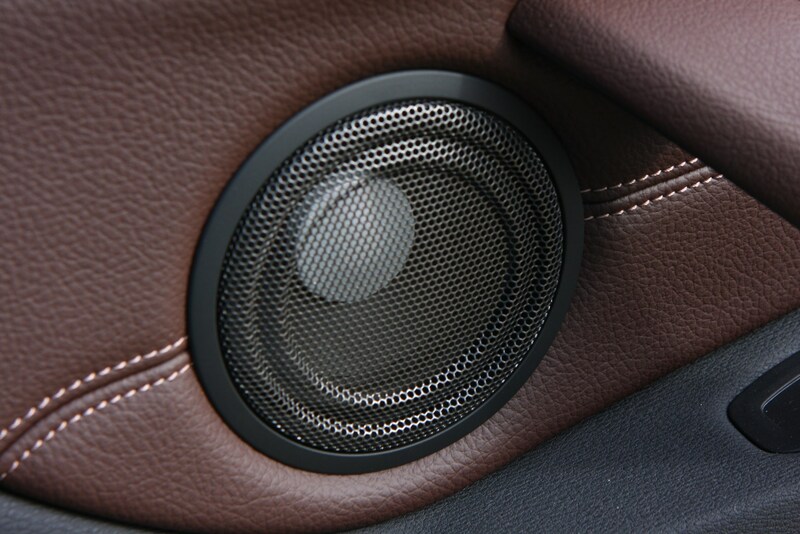 Most of the essentials are included, but there’s no getting away from the fact that rival manufacturers offer more standard equipment. 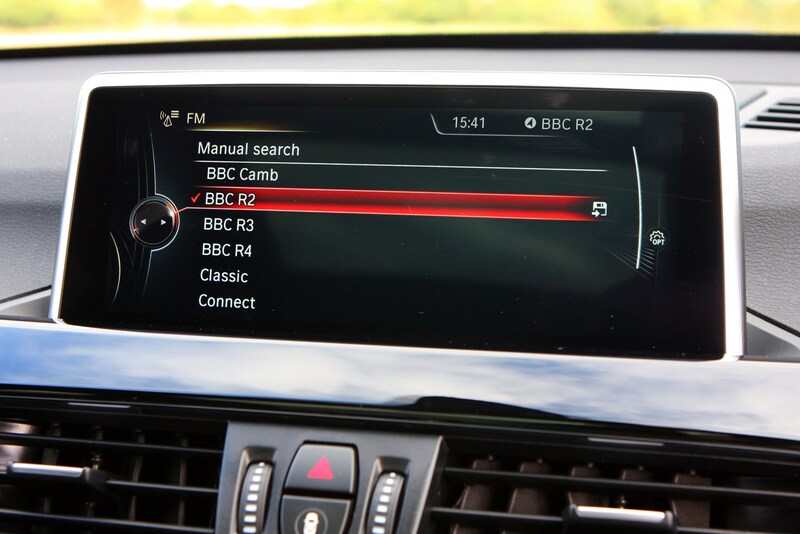 And the lack of Android Auto – either as an option or as standard – is still an annoyance. 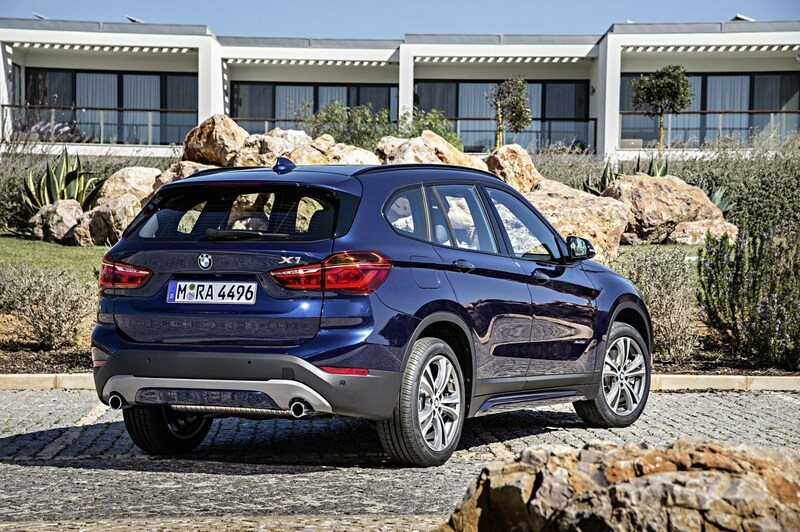 The X1 was awarded a five-star Euro NCAP safety rating back in 2015, with the assessment praising the car’s adult and child occupant protection. 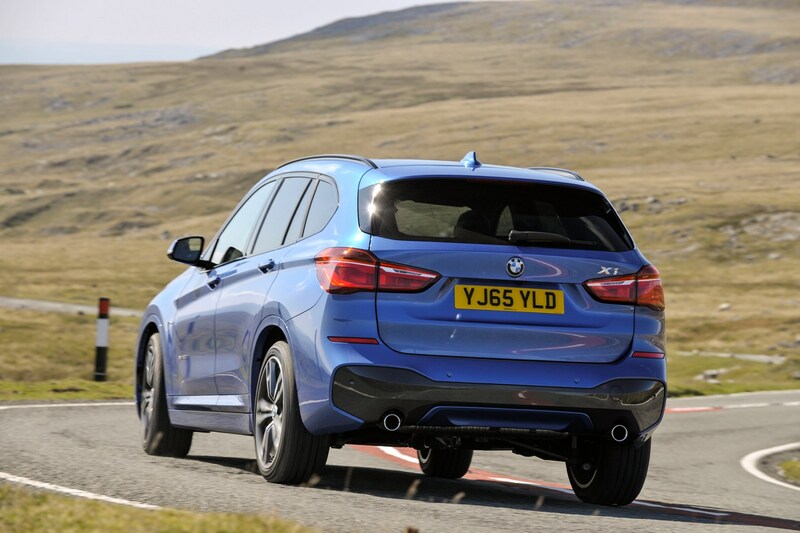 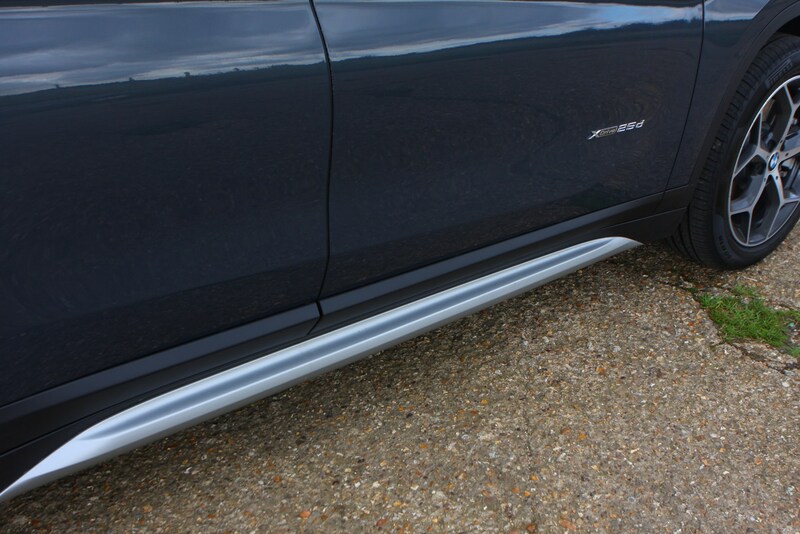 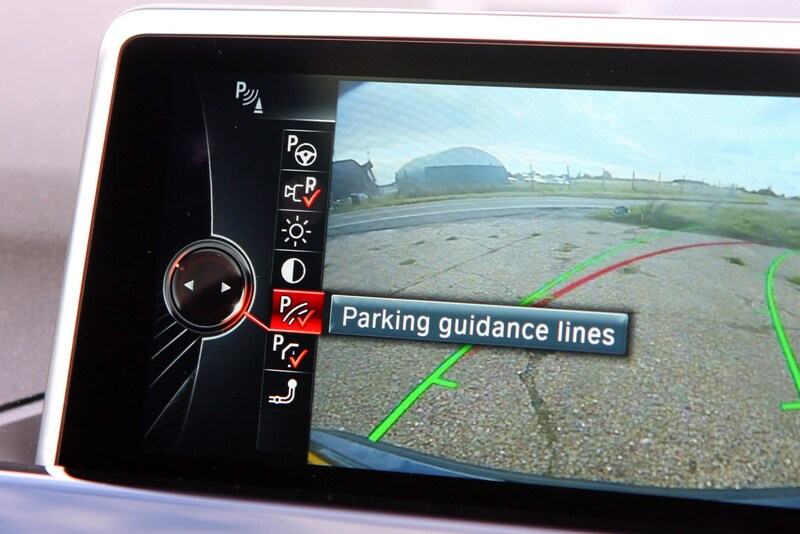 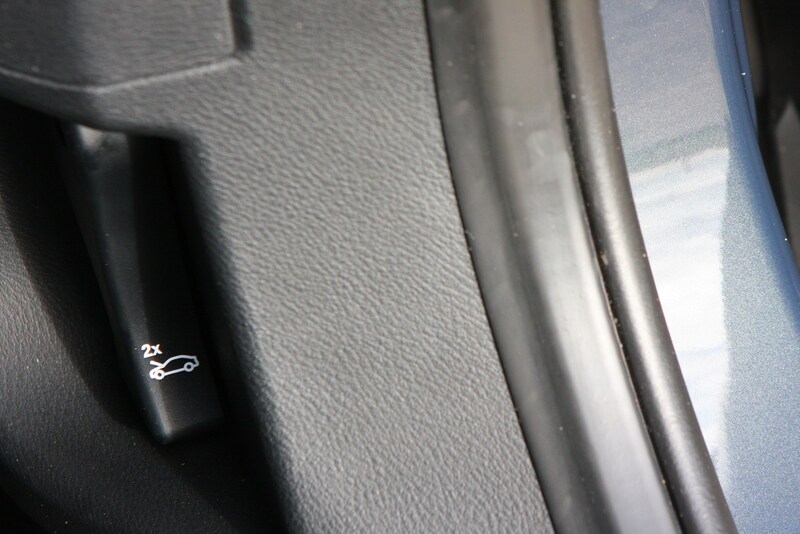 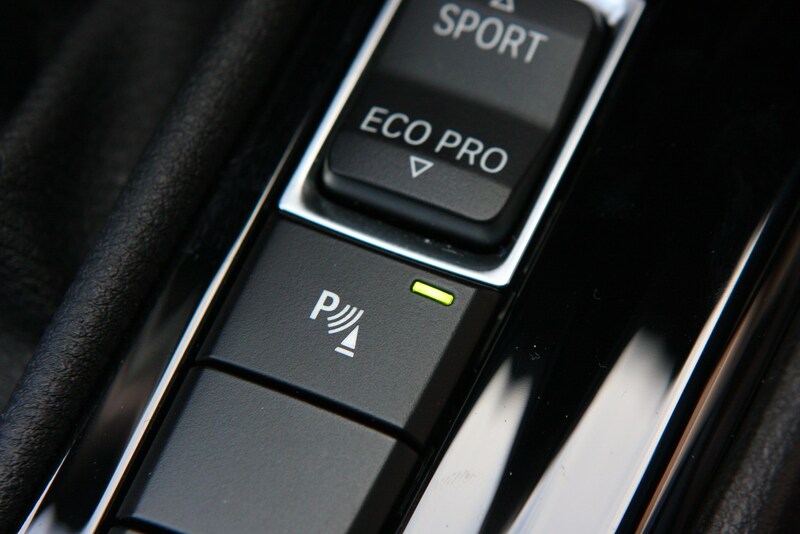 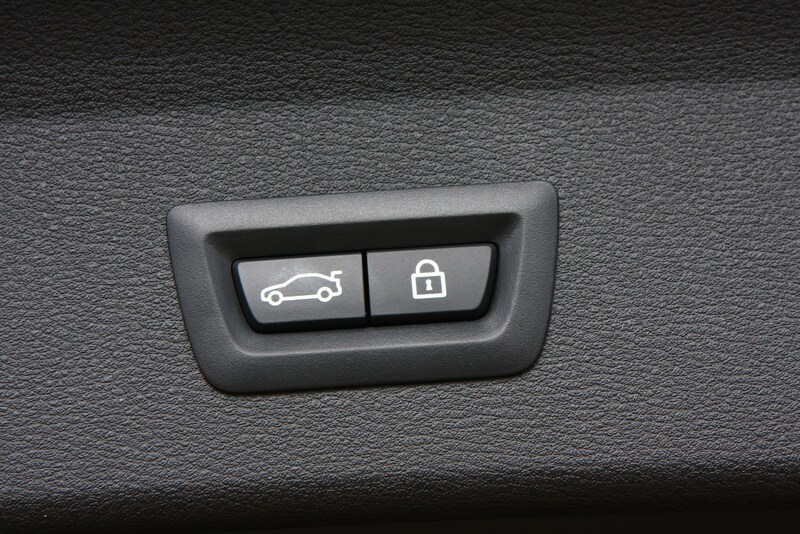 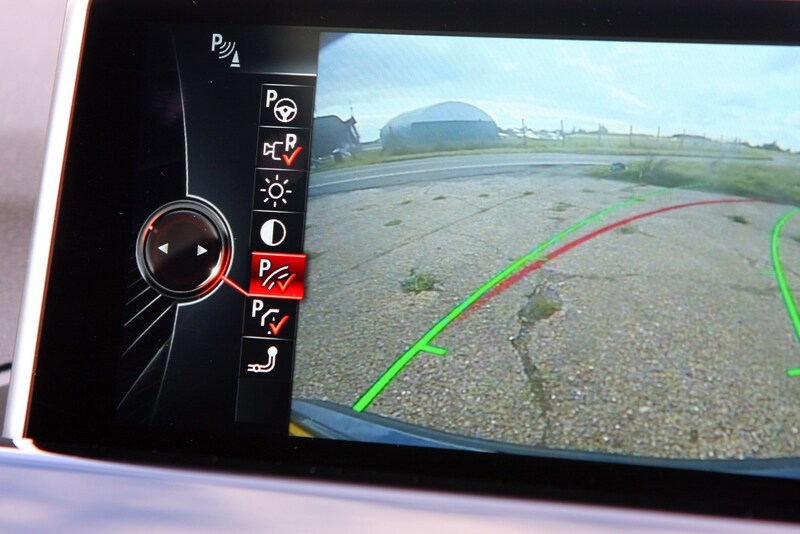 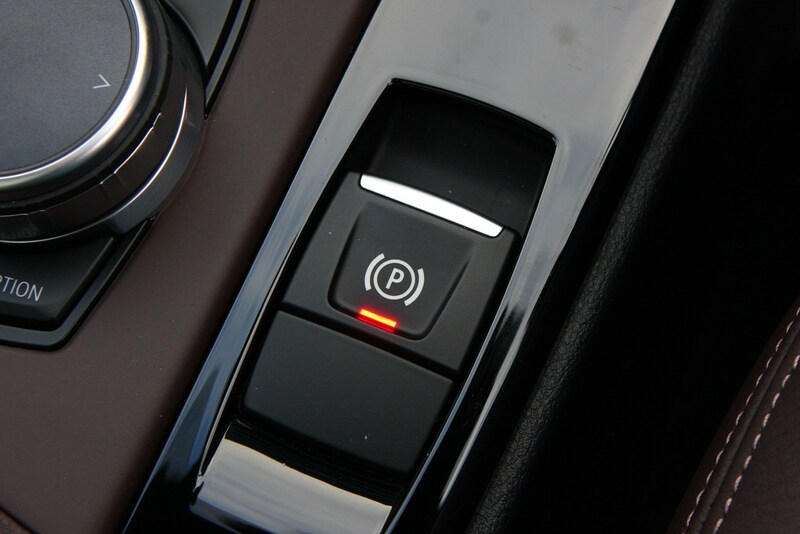 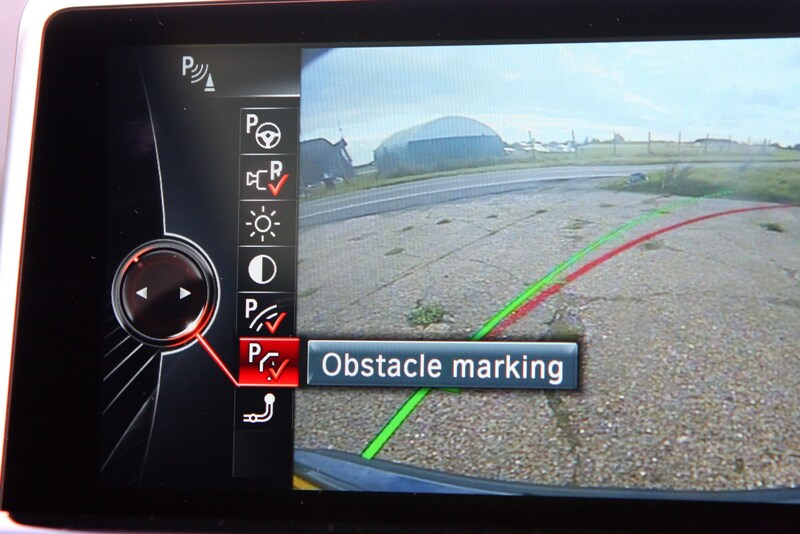 However, autonomous emergency braking is not fitted as standard, and with many of the X1’s rivals now featuring this as standard, the omission of this potentially lifesaving technology is disappointing. 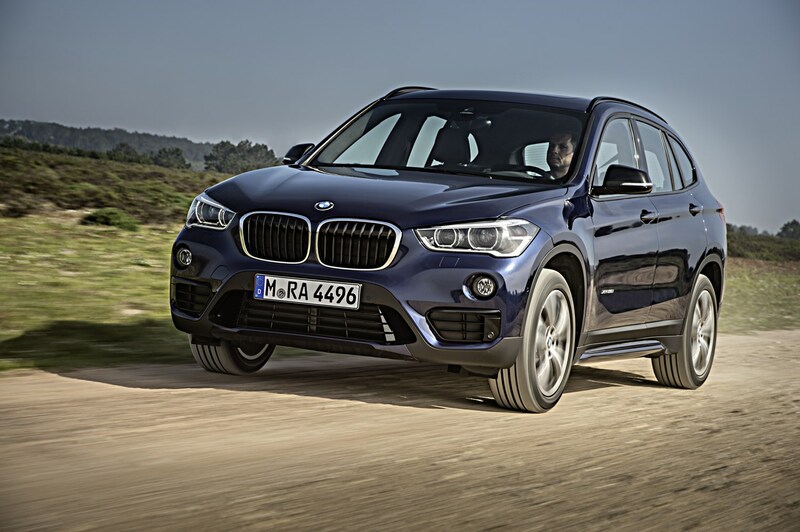 BMW’s X1 may not be getting any younger, but it’s still a competitive option in the medium-sized SUV market. 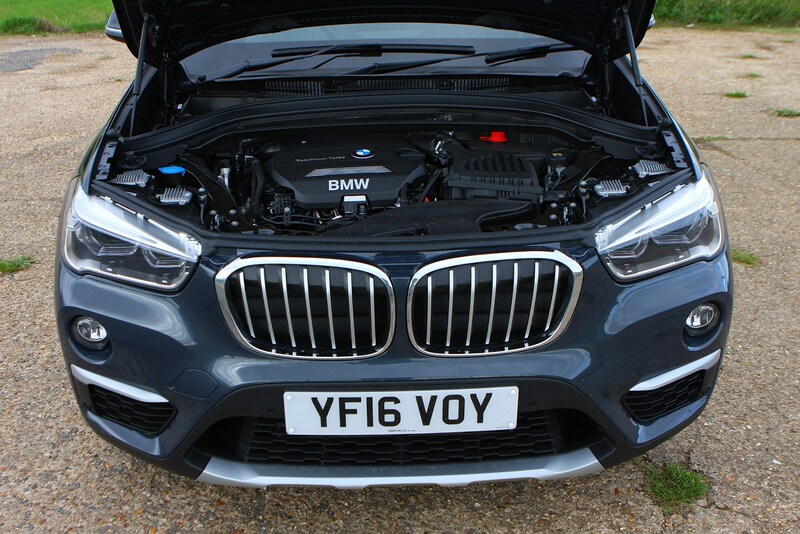 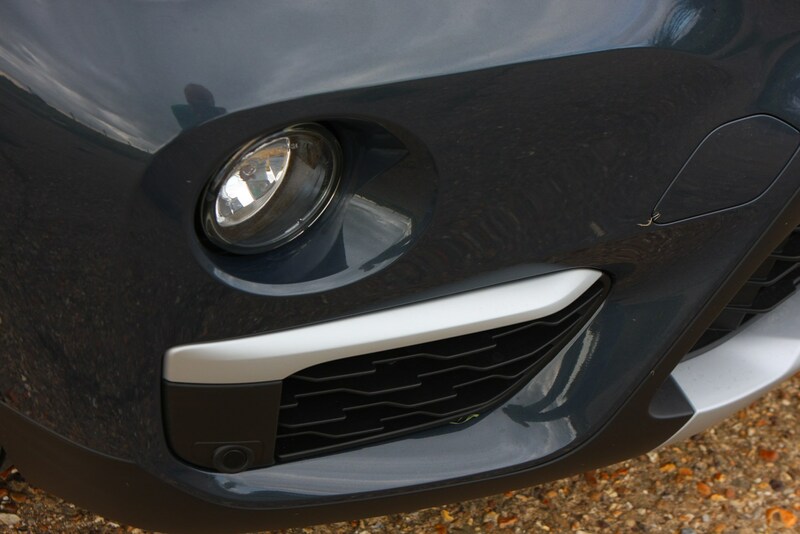 Overall practicality and build quality score well, plus there’s plenty of tech on offer if you’re willing to pay. 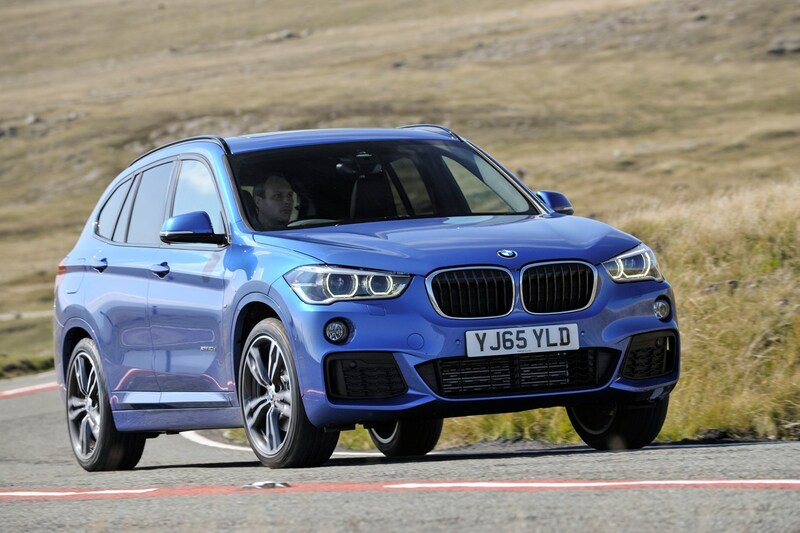 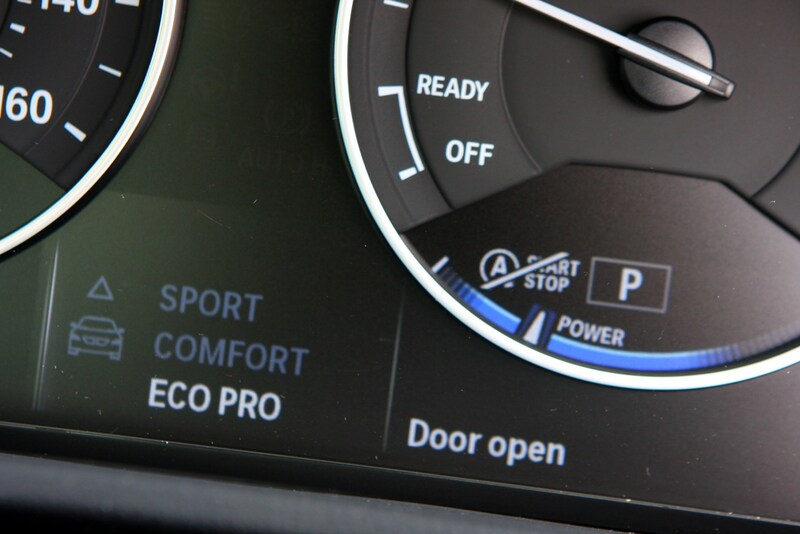 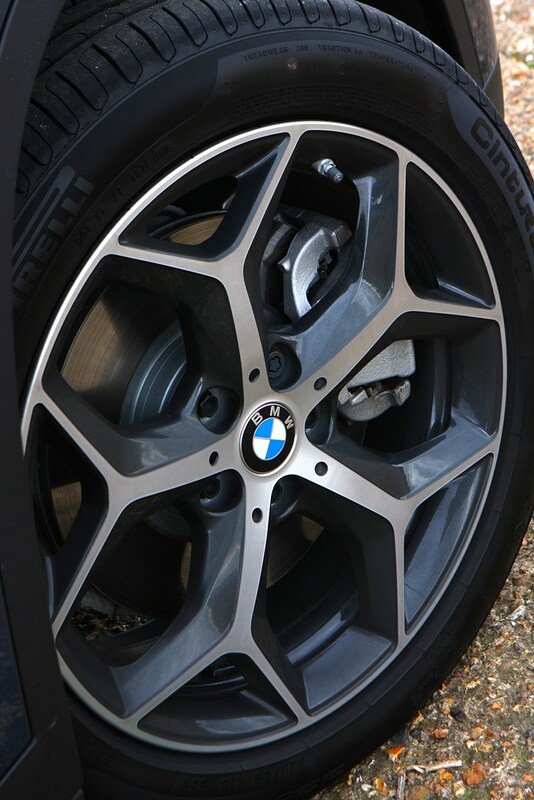 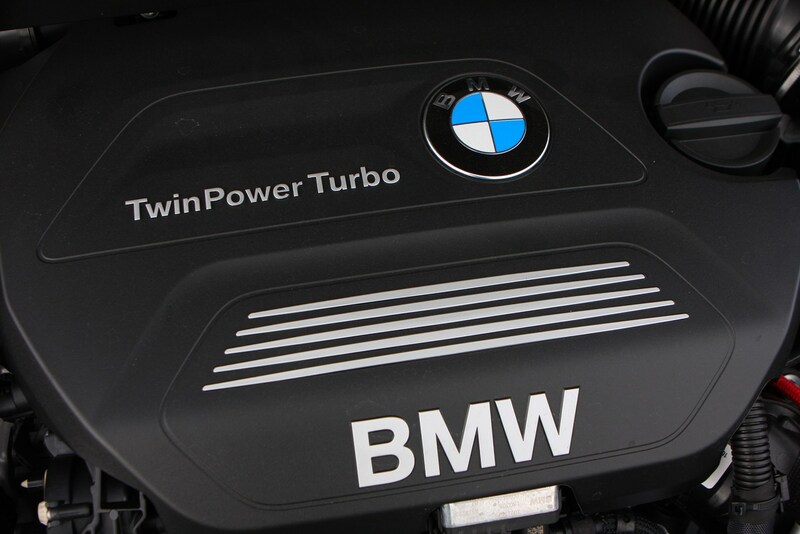 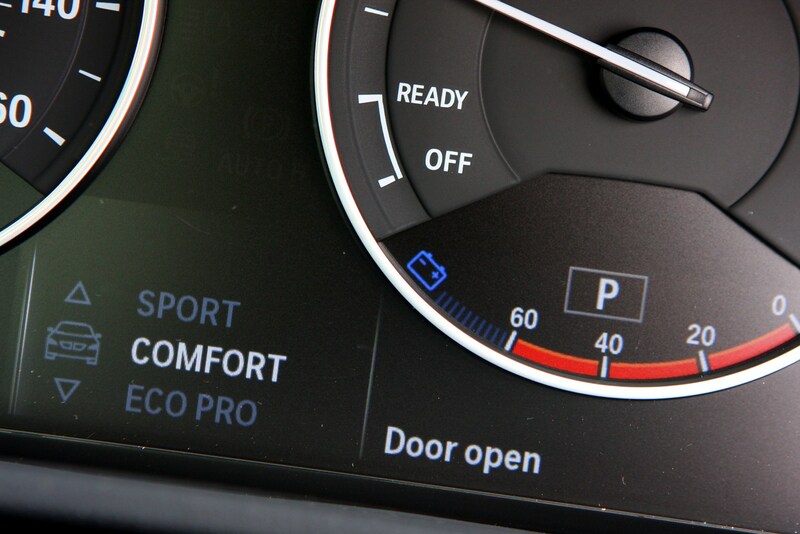 The sporty driving characteristics will no doubt attract buyers who wish their BMW was a sports car rather than an SUV, too. 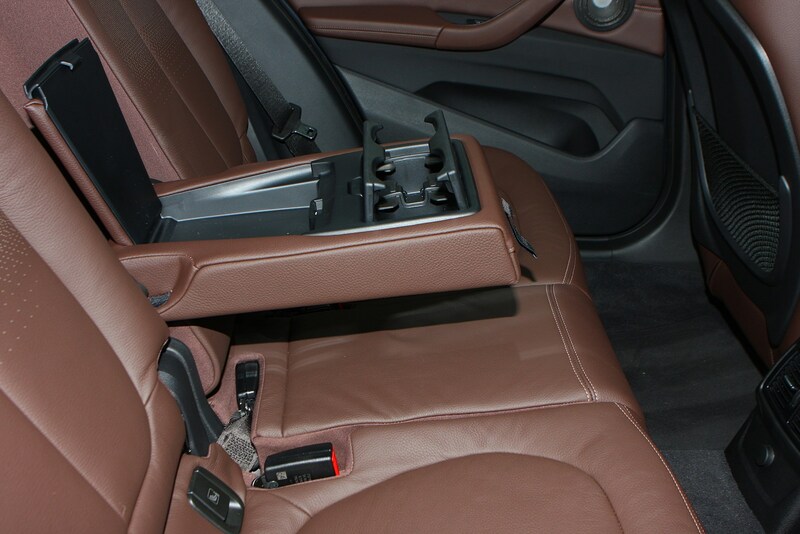 It’s not perfect, however. 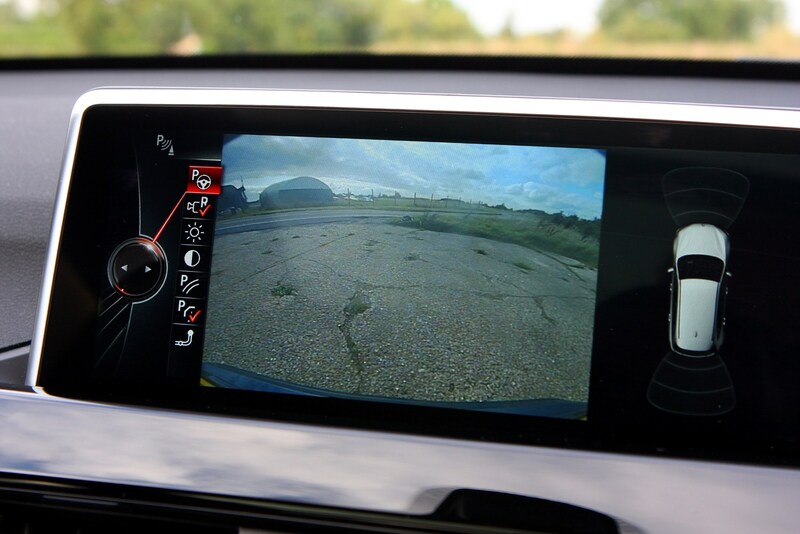 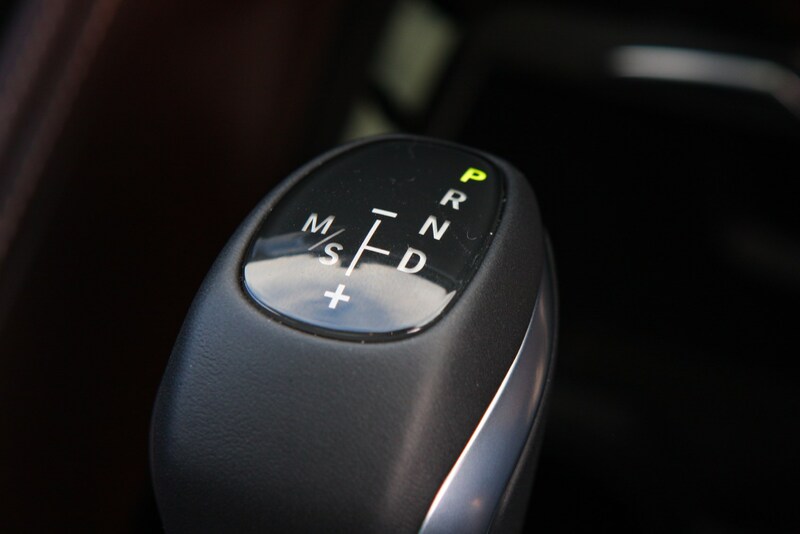 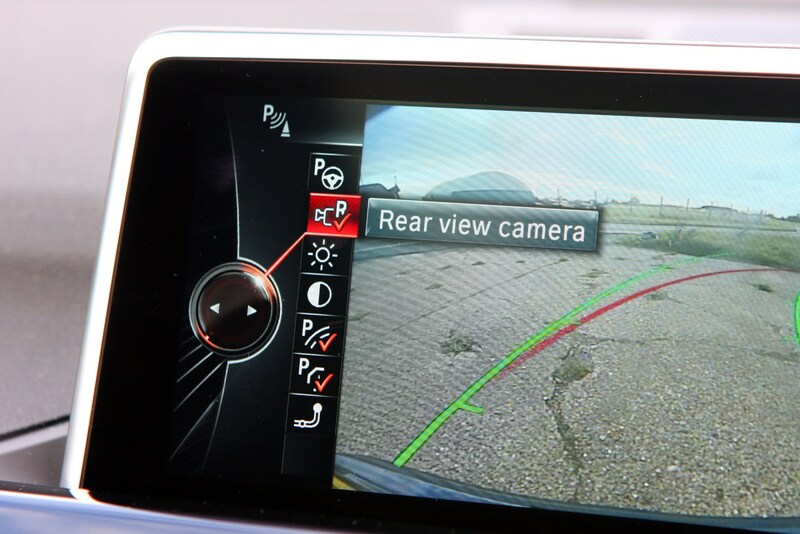 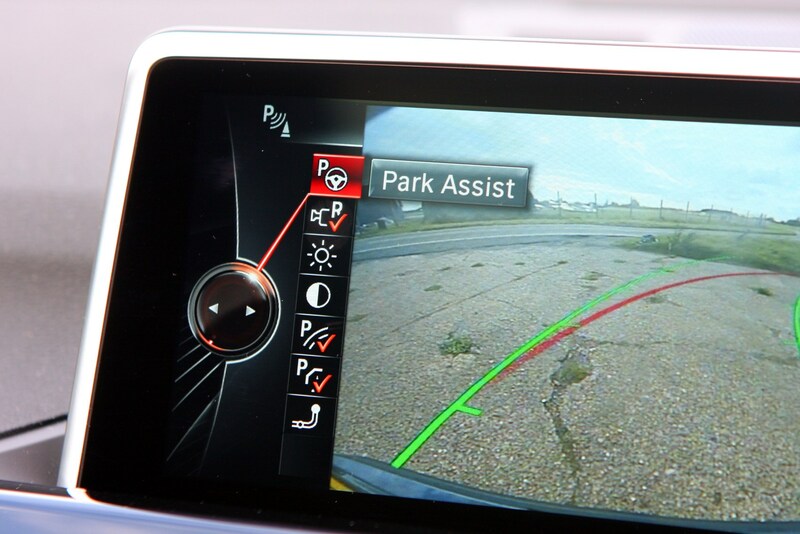 The omission of autonomous emergency braking as standard and lack of Android Auto altogether will lose sales – as might the firmer than average ride.